Panda and Owl are the truest of friends. No matter what the day or activity may be, it’s their friendship that brings the very best out of it. The five stand-alone stories provide lots of fun time to spend with these delightfully quirky buddies. A sure reminder that the details aren’t so important, but the ones we share them with are the best treasure and adventure of all. Bogie, an inquisitive pup, has gotten himself in a real mess. Will Henry be able to coax him into a bath? And, will he be able to keep him clean once he does? Sometimes, our best efforts are no guarantee of the desired outcome. Illustrations by Steve Page are comical and endearing. Something very strange is going on in Applewood. Mysterious disappearances, monstrous happenings, and newly acquired abilities leave the children of the town in a frightful state. Can they survive alone? Can they band together, putting their differences aside? Can they figure out these strange happenings and find “normal” again? What would you do if you woke up one morning and all the adults in your town were missing? 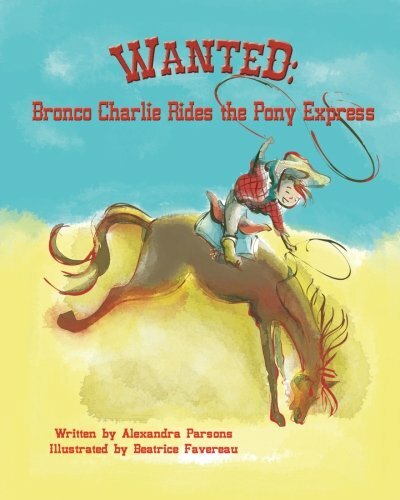 Note to parents: The author utilizes the Open Dyslexic font, which helps and encourages readers who may be struggling. 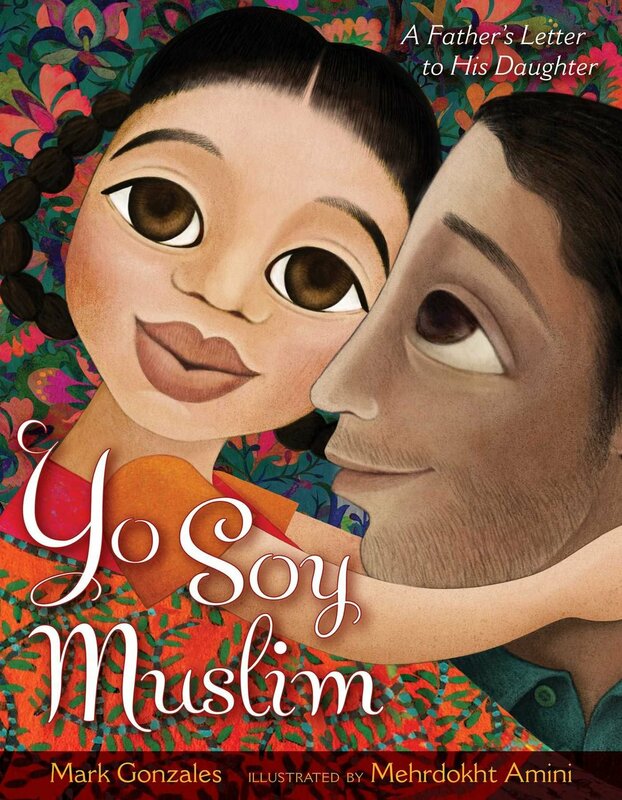 From Muslim and Latino poet Mark Gonzales comes a touching and lyrical picture book about a parent who encourages his child to find joy and pride in all aspects of their multicultural identity. This tender story is a father’s letter to his daughter that flows with encouragement and heart. In a diverse world, identity can become confusing, and this father builds a gentle undergirding to lift his child to her greatest potential. This delightfully amusing poetry will provide hours, days, even a lifetime of laughter. 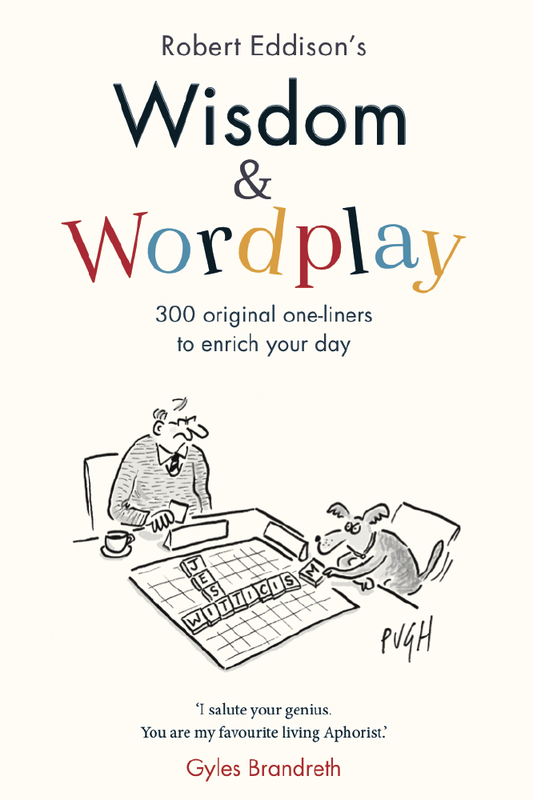 From chuckles to uproarious guffawing, this book is filled with hilarity’s calling. Though page after page is really outrageous, tucked among them are those that will truly engage us. (Page 116 is simply my favorite). Illustrations by Lane Smith are as raw and entertaining as the text itself. This is a great book to create fun days and lasting memories. In the best-known tale from Jonathan Swift’s classic satire, Lemuel Gulliver survives a shipwreck only to find himself on a strange island with even stranger inhabitants: miniature humans, no bigger than his hand. Since 1726, the amazing travels of Gulliver have thrilled audiences of all ages. 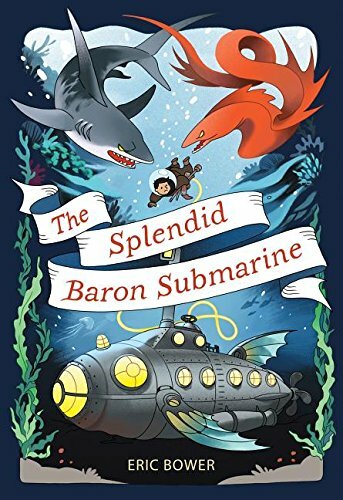 Martin Jenkins’ retelling of the famous story brings fresh joy to a new generation. Illustrations by Chris Riddell are full of life, revealing the true whimsy of the original tale. Is it a horse? Is it a fish? It’s a Seahorse! Take this amazing journey under the sea and discover fish that look like a horse prince. This watery world is filled with fascinating creatures, males that give birth, and fish that look like plants. Explore and enjoy this educational wonderland. Illustrations by Susan Andra Lion are creative, bright, and whimsical. This sweet story reminds us there is a place for everyone. Reena is deaf, and Dog is homeless, but together they fit just fine. This story of diversity and acceptance opens the eyes of possibility, and broadens our opportunities. Being present in the moment sounds easy enough, doesn’t it? But, how many times do you misstep because your mind is racing ahead of you? Mindfulness can be unruly at times, and we may need to stop and let the mind and all her feeling companions catch up so we can start in unison again. The sooner we learn to recognize these awkward missteps, the sooner we can restore pace and presence. Illustrations by Peter H. Reynolds are sweet and peaceful. Arthur “Bash Man” is the school thug, paid with candy to bully and threaten other students. When genius orphan Darius Drake employs Arthur to help him discover the origin of a suspicious threat, written in blood, they uncover a mystery that involves Darius’s estranged grandfather, who was imprisoned for forging evidence in a search for a long-lost diamond necklace worth millions. The boys make the dangerous decision to search for the jewels themselves and in the process, discover that the car crash that killed Darius’s parents was not an accident at all. Who will be next? I found Darius to be a character much like a young Sherlock Holmes and was delighted that this story was written from the point of view of Arthur, not Darius. What kid doesn’t enjoy a good mystery? Raymond is a good and happy dog—the best kind of dog his owners could ask for! But one day, Raymond has a “big thought” about engaging in his world in a bit more of a human way. Sitting at tables, going to movies, and sipping on cappuccino are all pleasures that Raymond is finally able to enjoy! He soon lands his dream job of working at DOGUE magazine and while he loves the exclusive interviews of acrobatic canines and painting pups, he soon realizes that while human adventures are fun, snuggling, scratching and sniffing are his true doggy desires. The tone of this story is so playful and readers will laugh out loud at all the canine escapades, clever illustrations, and heartwarming ending. When do we begin to strive for perfection? How do we groom our lives for success? Guy Lodge answers these questions in his book Valedictorian, and maps out a simple path to achieve it. If we start our children out right, teach them how to set and achieve goals, we are securing them a future. There’s an old saying, “Shoot for the moon, even if you miss, you’ll land among the stars!” This seems to encapsulate the message here. Posters are included sharing many famous Valedictorians of our time. Longfellow is a blue Dachshund that has trouble fitting in, and it really gets him down. He has nowhere to call home. He’s short and he’s long. He’s not tough or strong, and he is often passed over by those who are. This story encourages us in dealing with our own awkward issues, and promotes family, loyalty, and finding our special place where we always fit in. Oh, the Barnabys of the world. They are the forgetters—whether it’s remembering where the glasses are left, library books are tucked, wet bathing suits sit or dollar bills misplaced. Barnaby Rabbit is the sweetest character, and thank goodness his confidence does not seem shaken as he reminds himself of things he does remember: writing Christmas lists, feeding his grasshoppers, and ice cream night. Author and illustrator Pierre Collet- Derby shares an easy to read “sing song” text accompanied with bold and engaging illustrations. Coming from a family of forgetters (but married to a family of rememberers), Barnaby Never Forgets is very endearing and relatable. Now, where did I leave the book? This beautiful book by author extraordinaire Kate DiCamillo and talented illustrator Jaime Kim depicts a little girl finding her voice in a big, big world. The hues of purple, navy, and white background showcase a little girl expressing herself throughout nature. As her journey progresses, she connects with the moon … and realizes that she might have been heard after all. Reading the author and illustrator’s note at the end of the book will also provide a beautiful insight into the background of the story and how ultimately all of us desire companionship and to be heard. Growing up presents challenges from our first cry in the delivery room. Survival depends on how we meet those challenges. Many are aced by sheer growth and time, but one can challenge us into adulthood. Emotions, and how we deal with them, can undo the best of us. This great teaching series about everyday feelings is a fun introduction to a lifelong quest of self control. The illustrations by Mike Gordon are delightful. Hubble Bubble: The Wacky Winter Wonderland! The Wacky Winter Wonderland is a fun and imaginative book. Pandora’s Granny, with one wave of her wand, can make a lot of great magic: cookies with sprinkles, snowflakes, and a magical winter wonderland to name a few. Pandora loves to be with her Granny, because everywhere they go becomes magical and fun. I wish I had a grandmother like that, too! Thirteen-year-old Ben Ripley goes undercover in the White House to take on a SPYDER operative determined to assassinate the president in this latest addition to the New York Times bestselling Spy School series. Kids will just love this action-packed story that starts with a bang and doesn’t even slow down right up to the end. I loved the many ‘covert’ layers to this story; I found it hard to tell the good guys from the bad. It also describes the inner workings of the West Wing. Just don’t pick it up late at night to read a chapter or two—you won’t be able to put it down! Sixty-five million years ago, a meteor struck the earth and all the dinosaurs went extinct. Or did they? Digby Darby has no idea about the extraordinary turn his young life is about to take when he runs off one afternoon. He tumbles into a hidden canyon and finds himself among dinosaurs that escaped extinction and survived to the present day in their secret domain. Young readers will love learning the Haanasasen language and pronunciations of the names and words that are found in the back of the book. This story has a wonderful underlying message about adoption: Family is family if they love each other, even if they are different. Life for Jelly Welly—or Jennifer Wellington—is totally and utterly normal in Chompton-on-de-Lyte. She lives with her mom and dad and gran, has nosy neighbors who like to gossip, and really needs to think of a science project that will get her a good grade. But when news breaks of an impending chocopocalypse, her whole world—and the world at large—is thrown into utter chaos. But Jelly has a sneaking suspicion that something isn’t right. 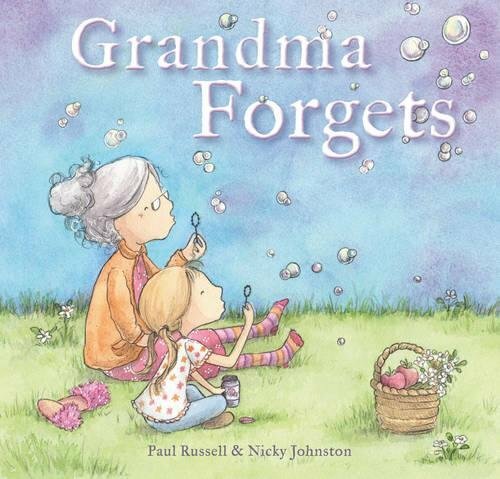 She and her gran investigate, picking up on a mysterious trail of clues. 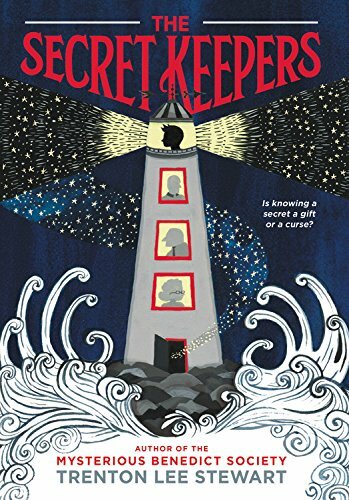 This is a great, exciting, and fun mystery with an unforeseen twist that kids will love to sink their teeth into. Includes fun chocolate facts at the end. condition. Julian has one more thing that makes him different: sensory perception. He never thinks of himself and has the ability to practically read others like a book. This story is unlike any other I’ve read. The book has twists and turns I didn’t see coming and will definitely make readers think as they realize how Julian heals and fills the needs of anyone he meets. I wondered if it’s to forget about his own pitfalls in life or if he is just a blessing among us. Either way, kids will enjoy Julian and learn the meaning of his incredible magic of being. Life after the zombie apocalypse is pretty good for 13-year-old Jack Sullivan: He lives in a mindclobberingly cool tree fort with his best friends, speeds through town playing Real-Life Mario Kart, has a crew of monster buddies, battles zombies on the regular, and generally treats life like it’s a videogame! But then Jack’s friends make a startling discovery: They may not be the last kids on earth, after all. This is great news for everyone… except Jack. 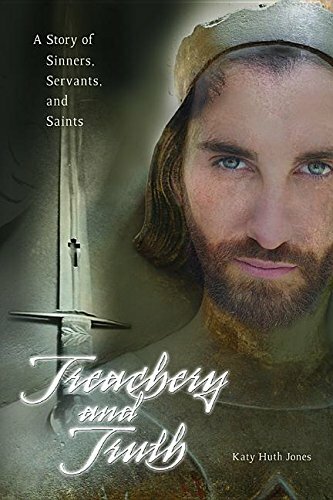 Just like the other books in this series, this story hits the ground running and never stops. Young readers will love the illustrations of the layout of the town and the magnificent tree fort, and the terrific cliffhanger ending. When Reuben discovers an extraordinary antique watch with a secret power, his life takes an intriguing turn. As one secret leads to another, Reuben finds himself torn between his honest nature and the lure to be a hero. Now he is on a dangerous adventure—full of curious characters, treacherous traps, and hairsbreadth escapes—as he races to solve the mystery before it is too late. This story has so many twists and turns and a little magic weaved throughout. It kept me guessing from start to finish. Another great book by Trenton Lee Stewart! Emily is headed to a tropical island for a relaxing vacation with friends and family. And this time, Emily promises her best friend, Shona, there will be absolutely no adventure, just plenty of fun. But adventure always seems to find Emily, and before she knows it, she ends up on the other side of a powerful waterfall on a forgotten island no one else can get to. This book has it all: tested friendships, danger, young love, fantasy, adventure, and mystery and all of this is wrapped up in secrets that are strategically revealed. Young readers won’t be able to put this one down. Twelve-year-old Suee wears her hair to the left in a point, favors a black dress, has no friends, and she likes it that way. When Suee transfers to the dull and ordinary Outskirts Elementary, she doesn’t expect to hear a strange voice speaking to her from the darkness of the school’s exhibit room, and she certainly doesn’t expect to see her shadow come to life. Then things start to get really weird. I found this book to be an entertaining story to show young readers why they shouldn’t be dark, moody, angry, and unfriendly. A wonderful bedtime read. After their scary adventure, Bex and Charlie have sworn never to play Monsters Unleashed again. Then Veratrum Games Corp releases a new augmented reality game featuring aliens instead of monsters, and the best friends just can’t resist. This is the stuff great kids’ books are made of: science fiction, fantasy, adventure, danger, typical school stuff and a bit of young love. A fast and exciting read. This is an incredible true story of love, friendship, and chance. The fact that this amazing pup survived China’s Gobi Desert alone with its tremendous heat, and endured a 77-mile race along her newly found friend, brings warmth to your heart and a cheer upon your lips as they cross the finish line as true forever friends. Best pals Dana (Scully) and Fox (Mulder) have pitched a tent in the backyard for a sleepover. But the night is full of strange sounds, lights, and shadows. Surely there’s a rational, scientific explanation for everything … or is there? With beautiful illustrations of pint-sized Dana and Fox, this humorous and notscary-at-all story will introduce the TV show to an entire new generation of fans. This sweet depiction of childhood whimsy flows across the pages with warmth and happiness in soft, endearing watercolor images. The text flows as freely as the imagination in this loving tale of Christmas joys, and the heart of sharing. Holidays are a great time to remember, and when we come together with openness and heart, anything is possible. Snowman Paul will vouch for that! 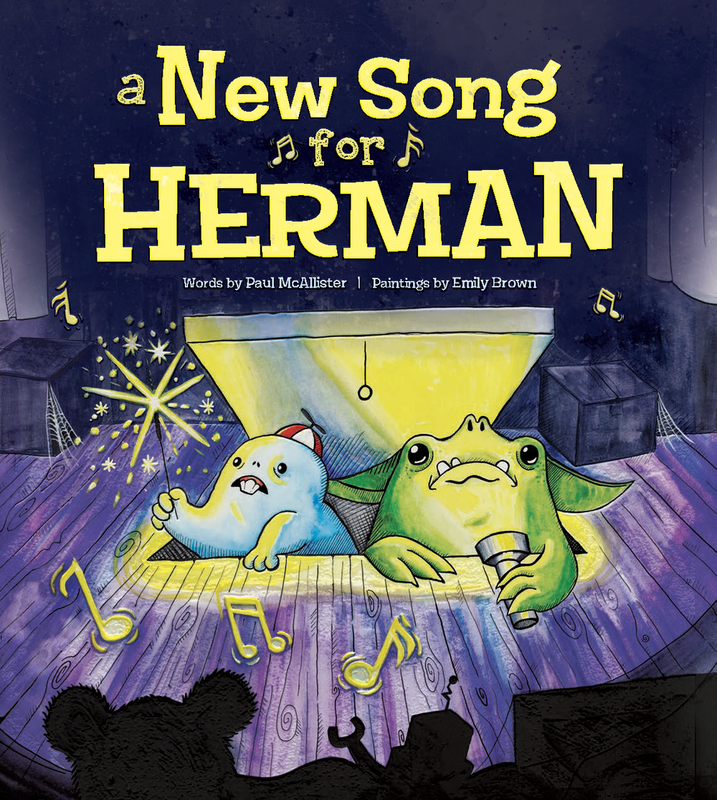 This is a fun-loving, brightly-colored, and greatly-illustrated story about two siblings who want something just a little more special than the usual toys for their Christmas gift, to the happy tune of “We Wish You a Merry Christmas.” Its lighthearted beat is sure to bring giggles and the lyrics will make this a favorite sing-along for the holiday. Poetry can whisper in the wind and carry the imagination softly with it, or beat loudly like a drum and stir the heart’s complacence. Rhyme and rhythm have encouraged awareness and learning in our children from a very early age, and it’s great to see poetry books like this leading them to an appreciation for this great art of expression. The words, layout, font, and color palette, as well as the illustrations by Helene Magisson are truly a wonderful visual experience in themselves. This book pleases from start to finish. The illustrations of Teagan White, along with the colors and texture, bring this warm and endearing story to life. Friendship and the joy of sharing bring any favored activity to its greatest heights. At a time when most mice are burrowing underground, Lucy and her friends find heartwarming delights. The story carries a sentimental and wistful yearning for happier times, when harmony and peace existed between people and the creatures that lived among them. In a fun flight of imagination, Jeannie is reminded of the joy and affections that this harmony can provide, and determines to be more intentional in lending her life and her environment to it. Illustrations by Christine Cathers Donohue are warm and inviting, giving visual affirmation to the heart of the story. Ever find yourself on a wild goose chase for something you thought you lost, only to find you never had it at all? When Corky, a happy Corgi pup, is told by other dogs at the park that he is missing his tail, it sends him on a quest to figure out where he lost it. His travels lead him to a wise peacock that settles his journey and gives him peace of mind. This adorable little story holds a big impact. These lovable monsters will win your heart in this story of fear, friendship, and bravery. Fear can cause us some sleepless nights, and the only way to get back to normal may be to come face to face with it. The adorable artwork by Emily Brown is a heartwarming touch to this all-around winning tale. The Nocturnals is a Level 2 reader in the Grow & Read program. It is an entertaining story of friendship and sharing, and educates us about those who are different from us. Tobin, a sweet pangolin; Bismark, a loud-mouthed sugar glider; and Dawn, a serious fox, introduce their nighttime world to early readers. Children will love to learn about new creatures and their habits. This level 2 reader is aimed for grades 1-2, and encourages reading aloud with longer sentences, problem-solving skills, and a growing vocabulary. I’m eager to experience more readers in all three levels of this great program! This is such a sweet outlook. I wish I’d read it sooner. When loved ones start to forget, we want to pull them back into our memories. Not wanting to let go when we feel them slipping from our reality. This touching story brings us such a sweetness of the joys that can still be found when we are willing to visit their world, instead of the struggle of trying to hold them in ours. The illustrations are as tender and loving as the subject they express. This is truly an honor to the forgetting, who are never forgotten. Our appearance is the first thing that meets another’s attention and when it takes on flaws, we can feel bad about ourselves and seek for helpful ways to remedy our concerns. A visit to the dentist can be scary for children and adults alike, but Emma is excited to correct and enhance her appearance by getting braces. The book’s simple, straightforward approach will help ease, and understand the process for those who may be facing it with dread. It’s rhythmic text and upbeat illustrations by Omar Hechtenkopf will surely shine a positive light on the process. In this new comic book style series, we find a sulky, smart-aleck kid who gets in over his head and finds quite an adventure. Though we find ourselves thrown back in time with magic, dragons, and gargoyles, we still find family issues and child routines, making personal connections easy for its readers. This fun fantasy, with its engaging illustrations, is a great way to encourage reluctant readers. 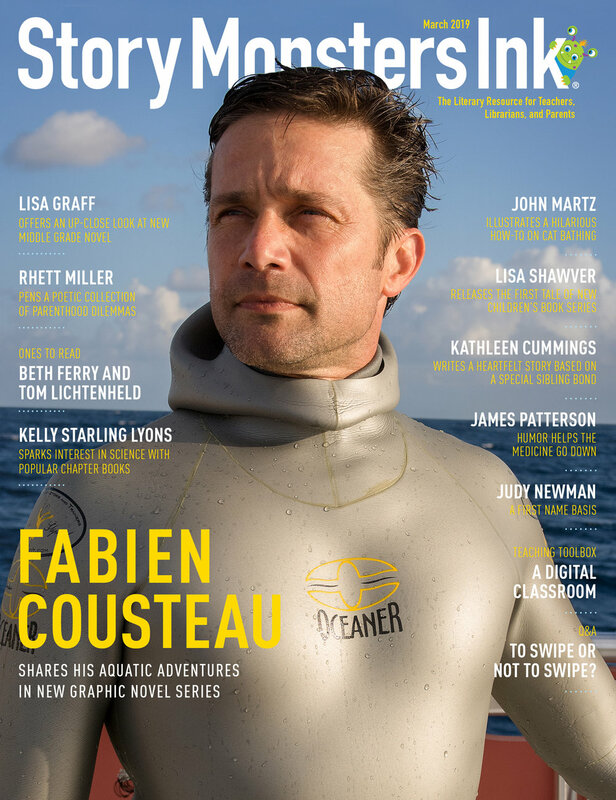 The comic book layout makes reading light, spurring the reader’s interest to keep its pace. It’s reading for fun! Oh, the gift. That special thing that flows with ease and fills all the cracks and crevices of our lives with joy! For Meredith, it’s basketball that fills her mind and interest while she hammers out her tunes in piano practice. But, for Leo, it’s the sweet sound of music that fills his heart as he quietly sits in the shadows listening to his sister play. The piano soon gives him a voice, helps his confidence soar, and propels him to embrace the treasure inside him and share it with the world. A true gift. Sure to become a treasured favorite during the holidays. Every page describes holiday cookie treats that children make for Santa all across the globe. Not only is this book packed with fascinating facts and beautifully written paragraphs that describe countries and their cookie making traditions, it tugs at readers’ heartstrings as they imagine these young children eagerly waiting for Santa as they carefully craft their Christmas cookies. I would love a sample of each recipe included in the back of the book! This stunningly illustrated book is perfect for holiday season read-alouds, cookie exchanges, and even a geography around-the-world classroom unit! Octopus stories might be the next big thing because this underwater delight will elicit many giggles from readers of all ages. This delightful tale begins with Inky coming out of retirement from his local aquarium to dip his tentacles into one last great escape … to the ocean! 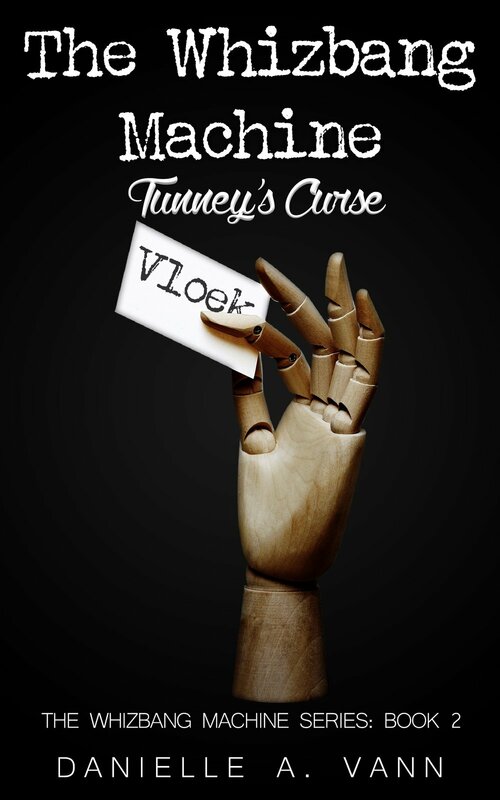 Readers will love Inky’s planning process as he plots the perfect escape. I love the pages that give us a peek into aquarium life, and the conversations between sea creatures are incredibly clever. Readers will be fascinated by this unique tale, especially when they realize it is based on a true story! 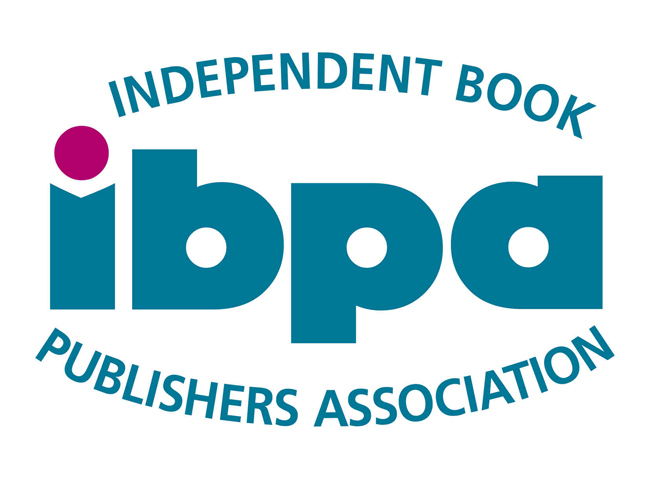 A lift-the-flap book? Yes, please! Hungry anacondas in a cumulative story format? Even better. This brightly-colored picture book will not only elicit giggles, but full-blown belly laughs as the reader keeps up with the anaconda’s insatiable appetite. Swallowing a tick, then a skink, along with frogs, piranhas, and even a gator, this anaconda has a full tummy and is still not stopping! The tried and true cumulative storyline has a fresh twist with these swampy characters only to have a huge pop-out explosion at the end that will surely make you s-s-smile. transition back to the wall, and the strength it took to get back on top. Includes the added bonus of an unexpected ending that will surely tweak your view of Mr. Dumpty from this point forward. Deliciously textured illustrations, emotionally impactful layout, and design choices paired with a fresh view of the nursery rhyme bring it all home. Older children will especially adore it due to its graphic novel-style story telling and behind-the-scenes feel on the character. Great gift book full of everything we have come to expect from the fantastic Dan Santat. If you combined Old McDonald’s Farm, the Chicken Soup books, and the motivational poster people together to make a book, it would turn out like this! Adorable short clips of advice on everything from eating healthy, to how to treat friends, to adjusting perspective—The Wise Animal Handbook uses vivid animal photography to impart wisdom on young animal lovers. 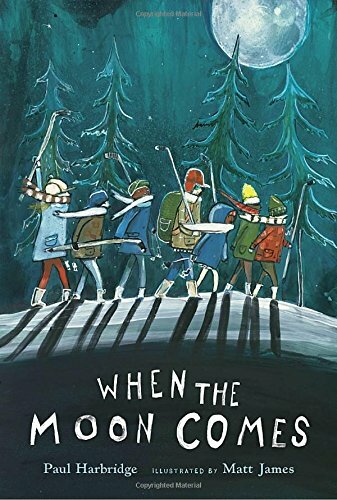 It makes a great storytime book on particularly chaotic school days as the subject matter, rhythmic text, and beautiful images give off a refocus vibe that settles and calms. 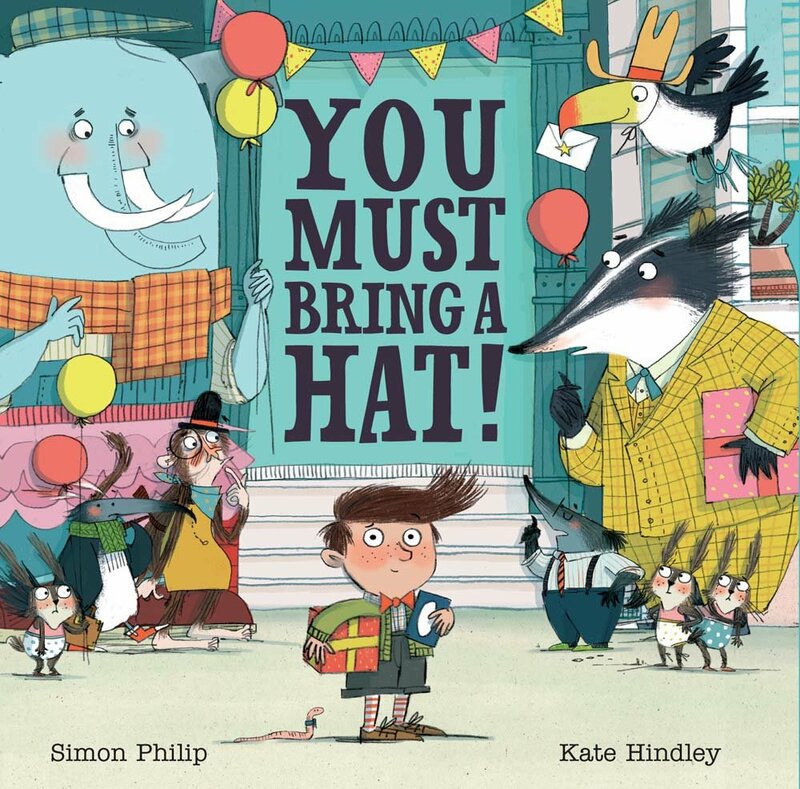 This book has a wonderful feel-good finish to it, the picture book equivalent to a warm cup of tea. It’s 1919. Mama is ill, father has taken a job abroad, and Nanny Jane is too busy to pay any attention to Henrietta and the things she sees—or thinks she sees—in the shadows of their new home, Hope House. All alone, with only stories for company, Henrietta discovers that Hope House is full of strange secrets: a forgotten attic, ghostly figures, mysterious firelight that flickers in the trees beyond the garden. 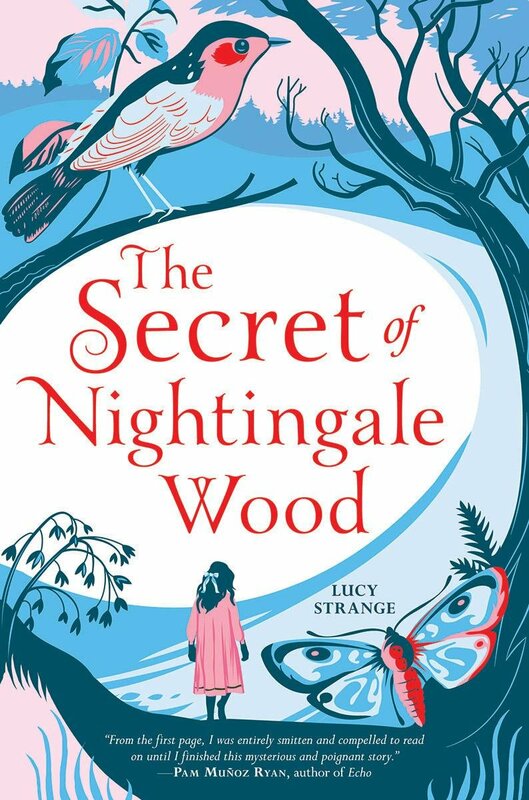 One night she ventures into the darkness of Nightingale Wood and what she finds there will change her whole world. I think this is the perfect book for any young reader who is coping with a tragedy. Henry finds the courage to maneuver through the problems to come out with a most lovely ending. Best Buds Under Frogs is a funny and beautifully descriptive story of fourth-grade life. Lily’s insight into her life is very engaging. She just moved with her family and started a new school. Her first day is disastrous, which I can relate to ... my first time at sleep-away camp I had a similar experience. Kids do not react to that lightly. I wasn’t as lucky as Lily to find a friend like Darby to come to my rescue. Darby and Lily form their own club called the Rizzelrunk Club. But can Lily and Darby’s friendship survive when Darbys’ BFF moves back unexpectedly? Read the book to find out! Karma Khullar’s Mustache is a heartfelt story. It’s about a girl who is about to start middle school and the growing pains she faces. Her home life has been turned upside down including moving, the death of her grandma, her BFF finding another new blonder BFF and basically leaving her in the dust. Not to mention things changing with Karmas’ body hair, including facial hairs on her upper lip! I can completely relate to this story and tell you firsthand it’s not so easy being a kid and growing up, especially if you think you don’t have anyone to really run things by. I can especially relate to the death of a grandma, who is your best friend and loves you unconditionally. The great thing about Karma Khullar is she’s willing to grow and figure it out. The mystery of other worlds is not one Hannah Winters ever thought she’d solve. However, the day she spots a brown-robed stranger with a magical staff in a neighbor’s field is the day she also discovers Aerisia, a magical land beyond Earth’s sunset. Here in Aerisia, Hannah is believed to be the Artan, a legendary heroine prophesied to deliver Aerisia from the Dark Powers. She tries in vain to tell everyone that she is not the Artan, just plain old Hannah from Earth. But events come into place and she begins to question everything she knows. A fast and furious read that even adults will enjoy. Grateful for their help, Desiree has kept secret an ancient tribe living in remote areas of the Grand Canyon. During a visit to the Canyon’s South Rim Village she encounters the tribe’s medicine man in search of an ill tribal youth. Desiree discovers that only she can help cure the youth, but it risks exposing her secret and sacrificing her life. This story is very visual, both with the mastery of creative words and also with the great illustrations of the Grand Canyon. 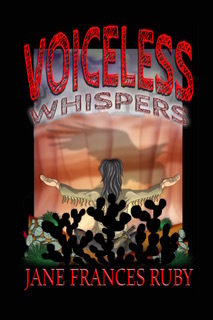 Young readers will learn much about Native American tribal life and customs as Ms. Ruby describes the characters and locations so vividly, you almost feel like you’re right there with them. Seventh-grader Beatrix Lee feels like nothing important. Her only talent is writing Haiku poems. Bea struggles with normal teen life as she tries to find her place in the world. This book is packed with adventures: a crumbling wall that is supposedly a portal to the land of the Goblin King, a labyrinth that is really not a labyrinth, and her secret poems that she writes in invisible ink and hides away until one day … someone writes back! What a great mystery venue to teach self-confidence to young readers. A book to put anyone in a great mood just by reading it. Code 7 is an engaging, entertaining story with important life insights. The story takes place at Flint Hill Elementary School and follows the lives of seven different children who go to this school. In each of the seven children’s stories, we learn big life lessons of courage, self-esteem, choice, responsibility, etc. I don’t want to give all the lessons away, but the story’s “codes to live by” strive to make the world a better place. 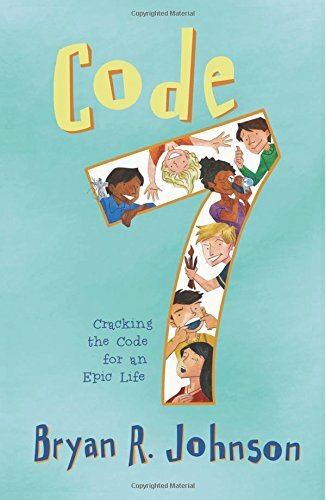 Code 7 is an inspirational book that can inspire both kids and adults to live an epic life! It is strange enough that Odo and Eleanor have stumbled upon a sword in a dried-up river outside their village. It is even stranger that Odo is able to remove it from where it’s buried. And it’s remarkably strange when the sword starts to talk. A real page-turner, all young readers will love this tale and not want to put it down until the end. This book will pull children into the story as they travel along with Odo and Eleanor and share in the fantastic adventure and dangers while remaining safe at home. Fifth-grader Ronnie studies for her class quiz on the history of dinosaurs. Her neighbor, Miss Lernin, is a retired paleontologist and together, they travel back in time as Miss Lernin explains the different ages when dinosaurs ruled the earth. I loved the educational value of this book all wrapped up in a fun-toread story format. This is the ultimate educational dinosaur book in a time-travel venue with relatable characters. Everyone who reads this book will love it, even the grown-ups! This new young adult series from award-winning author Clark Burbidge blends fantasy and heart into an entertaining saga. These young teenagers bind together in hope, and the unseen powers of life unite to help them on a quest to set right what war has terribly upset. In bringing a gentle awakening to a very harsh reality, PTSD is looked at from a broader spectrum, and we are emotionally left with the whisper of truth: being a casualty of war is not limited to those who fight. 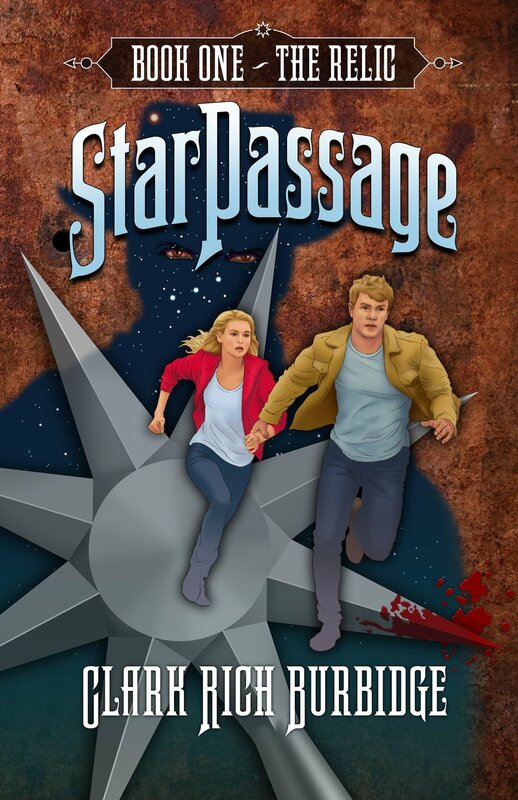 StarPassage offers hope to believe there is a passage out of darkness, and to be whole again. It’s a great adventure. Great story! What starts as casual and free-flowing, begins to pick up speed and totally catches you up in the momentum. It challenges with an irresistible effect, bringing you face to face with a deeper reflection of self and a greater appreciation for the world around us. If we let the story carry us through its pages with an open mind, we can’t help but come out a little wiser, fuller, and maybe even a little happier, than when we went in. It truly should grace an end cap in every bookstore. Many issues of today are fast reflecting the old idiom of an elephant in the room, or as we see in this story, purple hippos. You know, those obviously large problems or risks no one wants to discuss, yet swallows up the room. In his clever and rhythmic flow, Reedy sends out an insightful alarm, and helps us see the hidden dangers that often lurk behind the masks of progress. A real eye-popper for the unaware. A great book for adults as well as children. It definitely gave thought to this monkey’s mind! Inspired by the tumultuous and violent real-life events of 1961, this international bestselling author brings us a gripping historical tale of a young Cuban girl’s coming-of-age adventure. Many things come easy and natural to us, and it’s hard to imagine there are others who never have the same privileges and rights. Things we take for granted, like reading such a wonderful story, or the ability to write our own name, are mere dreams for many others. Even when we do realize the lack of others, it is easy to wish for better ways, and hope for change. This story is of the personal determination that risked comfort and safety to bring those desired changes for others. It’s an inspiring, eye-opening, and courageous story that will impact its readers and bring an awakening to each person’s place in society. Adriana and her family are forced to flee their home in Colombia and start a new life in Chicago. Throughout difficult times, big transitions, and the ordinary moments of childhood, Adriana’s angels whisper messages of God’s love and presence. What a comforting story! Whoever you are and wherever you may find yourself, you are NOT alone. Today’s world has become quite a metropolis. A blending pot, bringing changes and new awareness on every level. Children are growing up in bilingual homes, attending multicultural schools, and it can often be overwhelming. This tender loving tale breathes comfort across it all. childhood returning. Times when wonder filled the air and imagination was so alive, we were sure our most favorite of toys understood our every word and intent. When magical worlds ran quietly along ours, and brief spills allowed grand adventures. Cuddles is the most loved and cuddled toy bunny in the world. What a joy to carry such a title. The artwork captures and frames the story with pure enchantment. Great book for gift giving! This is a powerful story all should read. A treasure key to unlock a true understanding of the bigger picture. We all live our smaller, more personal parts of a grander tale. Often, unaware of the thin thread that silently runs through connecting the whole. Who wouldn’t love to find a mysterious gift that could erase all your troubles? Can you think of something you know that would change all your troubles if it simply disappeared? Ellie could. She even made a list. But what happens if we slowly begin to pull at the threads of life’s beautiful tapestry? This is an interesting and very enjoyable read! There are several healthy directions to take in the reading of this story. Friendship, differences and the courage to recognize them with acceptance, equal opportunities, and my favorite: breaking out of family expectations. It is so easy to fall into safe patterns in guiding our children. Squeezing them into ill-fitted boxes because it accommodated those before them. 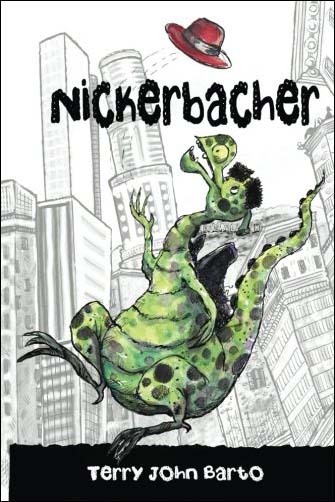 Nickerbacher had a dream contrary not only to his father, but to the whole stereotype of his species. Could he break out of that, and show the world who he really is? His crazy adventures and his wonderful friends show him he can! A great opening for discussion will surely erupt as a fun family night reading. Pets hold a vital part in our lives and families. Statistics have even measured the benefits of such enrichment. However, the loss of our favored pets can also cause great grief. This sweet fantasy offers a hand in dealing with the loss of our furry family members, bringing comfort to the children forced to say good-bye. Adele is a daring teenage ladybug attending Dogwood Academy who learns about friendship and hope despite a broken childhood. A wounded heart is heavy to bear, and the younger it comes, it can create terrible confusion. Self doubt, shame, and fear often lead to feelings of anger and isolation, causing the wound to sink deeper still. This tender story follows the road to recovery for a little ladybug, and the friends she meets along the way. This is a fun backyard adventure kids will enjoy. I love it when we are reminded we can find fun right at home with the people we love. Also, leaving kids with the security of knowing, no matter how outrageous our escapades get, Mom seems to know and has everything under control. Illustrations by Vova Kirichenko are bright, colorful, and engaging. The depth of this sweet story is perfectly matched to its setting. Today, the term “Family” has a much broader meaning and interpretation. 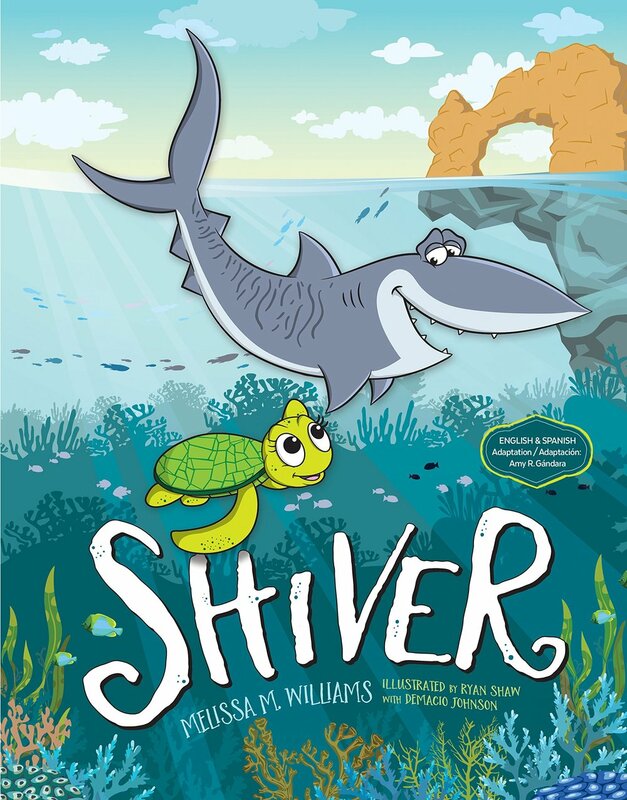 I was delighted to learn its underwater definitions, such as shiver of sharks, fever of stingrays, bale of turtles, and a bloom of jellyfish, but as a great poet once said and author Melissa Williams proves in her story, a rose by any other name, smells as sweet. Family is where we find our forever place. A place of love, inclusion, and belonging. Bilingual (English/Spanish). A story about a little boy with a big imagination. So often, parents find it hard to get on board with the directions calling our youth. Hudson’s mother, however, manages to find wisdom in its use. Encouraging his ghoulish desire, she manages to instill healthy goals, and lets him come to his not-so-final conclusion. The simplicity of this story shines in radiant beauty. From its soft illustrations by Yaniv Cahoua, to its text and intent by Beckstrand, it holds and captures a great force of life. A parable of reciprocity that can set a foundation for success that will enrich the soul, as well as the pocket. 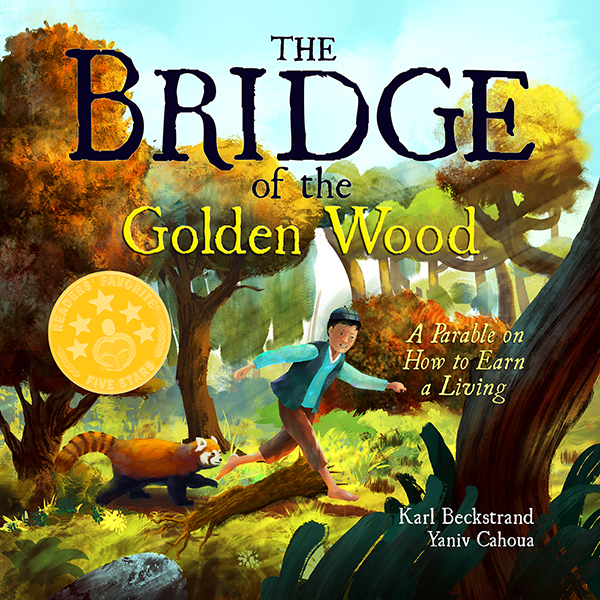 A beautiful way to teach our little ones how to build bridges of success in the matters of life. The beaver flood has finally frozen—perfect ice, without a bump or a ripple. For the kids in town, it’s Christmas in November. They wait, impatiently, for the right moment. Finally, it arrives: the full moon. This is a wonderful story of anticipation, and the satisfaction found in its arrival. The description so vivid and clear you can feel the cold and the exhilaration of waiting for just the right moment. Oh, to love something so much. To eagerly await its arrival. To bear the elements and test your fortitude to meet and enjoy it, one more time! Childhood at its best. Joe McGee and Charles Santoso are at it again! If you liked their 2015 story Peanut Butter & Brains: A Zombie Culinary Tale, you will love this! The town of Quirkville is up to its eyeballs in another widespread menace and this time, it’s on a planetary scale! Aliens have landed! And they want …well, I won’t spoil it, but I will say that Abigail Zink will have quite the sticky situation to solve! Fun, fast, and certainly giggle-worthy, this installment of the Zombie Culinary Tales will be a staple at story time. If you are looking for board books, I found a great set! The Mibo® series, written and illustrated by Madeleine Rogers, is exquisite! The bright colors, fun geometric prints, and educational rhyming are sure to be a hit. While the board format makes them sturdy and accessible to little hands, the vocabulary and fun animal facts will delight older children as well. The Jungle Crew takes us through the rainforest highlighting birds, chimpanzees, tigers, and frogs. The Polar Pack introduces penguins, walrus, polar bears, reindeer, and owls. The Safari Set focuses on lions, giraffes, elephants, zebras, and hippos. The books are individually gorgeous but together they make a great gift. The multi-award-winning Danza! will take your breath away! Duncan Tonatiuh is truly inspiring, his passion for the real-life story of Amalia Hernández and El Ballet Folklórico de Mexico comes through in the story’s build up of events and amazing visual detail. The life and accomplishments of Amalia Hernández, the dancer and choreographer, are captured in spirit and execution perfectly matched to the authenticity of the dance she had worked to express. A wonderful discovery for anyone interested in the amazing cultural contributions and traditions of Mexico or dance fanatics looking to dive deeper into history. The illustration style is mesmerizing, a layering of 3-D photographic textures and two-dimensional ancient—almost pictographic—representational shapes. Hard to explain, beautiful to behold. An absolute gem! This bubble wants to pop! He has waited and waited in that bottle with his friends and now he is just bursting with excitement to do his very best. But on this beautiful day, the green-eyed girl blowing the bubbles has other plans for him. She gave him a mission: to deliver her prayer up to God. A sweet tale of a little bubble putting his own desires aside to deliver a message for his friend speaks to the reader of friendship, perseverance, dedication, and faith. The illustrations by Simone Krüger have a textured, classic feel to them that gives the story a very friendly vibe. This story is one of the most delightful, charming, and innovate representations of the alphabet I’ve ever read! The thoughtfulness Ms. Moniz clearly puts into each illustration is truly remarkable. Each stunning page is a single word describing an emotion. A little boy is on each page in a variety of circumstances and these circumstances, surroundings, and scenarios are so clever. I believe when these feelings are written down, in this case by the masterful Ms. Moniz, it affirms to readers that it is normal to have huge ranges in emotions and being honest and authentic about them is the best and healthiest response of all. I always get nervous with monster books and reading them to my little ones before bed, but this adorable gem provoked so many giggles, questions, and second reading requests that it quickly joined the bedtime book rotation. 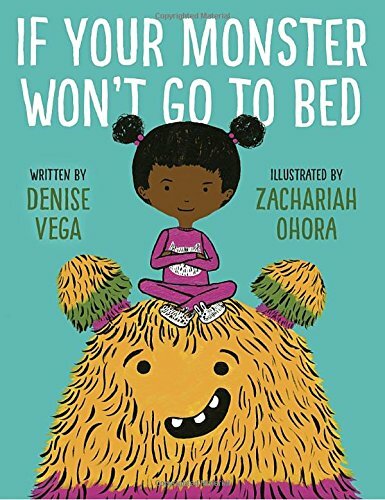 If Your Monster Won’t Go to Bed is a little girl’s narrative on do’s and don’ts of getting your monster to bed. Incredibly relatable and funny, this story takes us through silly bedtime rituals only a child/monster can relate to. The use of white background with bold thick lines brings our eye right to the heart of the story: the little girl and her bedtime buddy. Hoping this book will give me some tips for getting my little “monsters” to bed! Dinosaurs? Pirate ships? Treasure and secret maps? Every possible element of a child’s dream story is included in this engaging and fast-paced story. Author and illustrator Penny Dale does a fantastic job bringing to life a pirate ship’s nooks and crannies, along with the joy of treasure-hunting on a tropical island, with dinosaur characters leading the way. Illustrations are top to bottom colorful with detailed treasure maps, sea life, dinosaurs, and telescopes. Bonus? The names of the dinosaurs on the inside front pages and sea adventure words on the back. 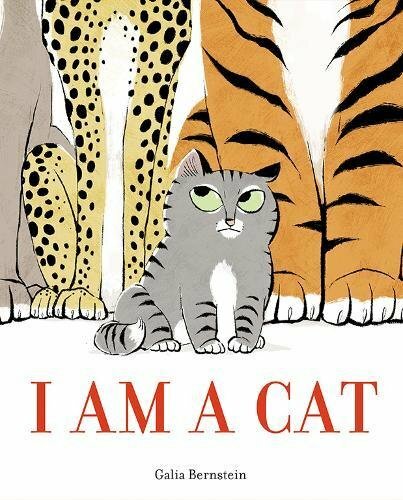 A fabulous read-aloud. This hilarious rhyming story by Josh Funk was one of the most delightful and unique literature escapades I have read in quite some time. The story starts off with Inspector Croissant asking Lady Pancake and Sir French Toast for assistance in discovering the source of a stinky stench in the refrigerator where they reside. Although this is not just an ordinary fridge, but rather a food land that has places like Salsa Ravine, Onion Ring Cave, and Casserole Cliff. Each page has just the right amount of text and rhyming to keep us thoroughly engaged (and laughing). I love the rich vocabulary that perfectly pairs with the bold pencil and digital media illustrations. This story offers readers a fresh, hilarious depiction of food friends antics once the fridge door closes. Lions. The most majestic animal of all. Kings of the Jungle. But not for a pet, of course! Kittens and cats will have to do. Nope … those domesticated felines are old news. Lions are the new pet in town! But is there a how-to guide, a step-by-step manual for taking care of this majestic beast? Tammi Sauer has written a witty, intelligent, and surprising story that answers all of our lion questions. Crazy wet mane? Don’t forget the blow-dryer. Potty training? Thank goodness for the Deluxe Lion Potty Pack. Lions love pizzas, so just watch out for the tasty delivery man! With multiple illustrations on each page, hysterical sneaky details, and words that pop, this story will become an instant favorite at story time. There’s nothing Jake likes more than some good trash-picking, so when his elderly neighbors move out and leave an especially promising-looking pile of household refuse on the curb, he goes right for it. He only has the chance to grab one box before his mom catches him and orders him in for dinner, though. When Jake and his friends investigate the box, they find the Secret Parent’s Handbook and with it all the means to subvert the irrational rules and petty tyranny of their home lives. No more clean rooms! No more vegetables! No more brushed hair or washed hands! It’s all videogames and junk food all the time! But the authorities have taken notice ... and they are closing in. This book was a delight to read and it gives a realistic view into the minds of children. For years people have claimed to see a mysterious white deer in the woods around Chinaberry Creek. It always gets away. One evening, Eric Harper thinks he spots it. But a deer doesn’t have a coat that shimmers like a pearl. And a deer certainly isn’t born with an ivory horn curling from its forehead. When Eric discovers the unicorn is hurt and being taken care of by the vet next door and her daughter, Allegra, his life is transformed. A tender tale of love, loss, and the connections we make, The Unicorn in the Barn shows us that sometimes ordinary life takes extraordinary turns. This is a magical, mystical story with threads of the difficulties of life weaved within. A pleasure to read. Fifteen-year-old Elizabeth Yale and her Grandpa are trying to solve a mystery, but not just any mystery … if they’re not successful and soon, it could mean the end of the world, literally. 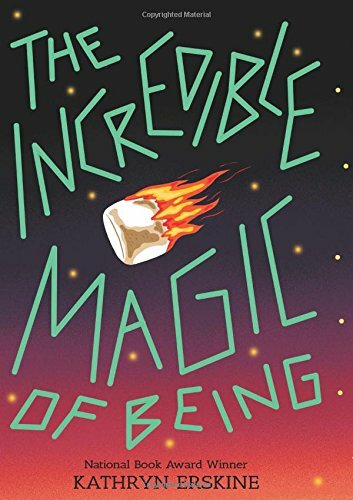 This is the perfect book for teens: a fantasy world with amazing characters, a grand adventure with plenty of surprising twists and turns, and wonderful inventions such as the whizbang machine, which is now missing and is feared to be in enemy hands. This story is non-stop action with chases, underground tunnels, and even a family curse. I couldn’t put it down and can’t wait for the next book in the series. The award-winning StarPassage saga continues with the relic guiding the Carsons to a new and desperate family. Two brothers, Bobby and Mike, are struggling after a tragic accident turns their world upside down. The perfect tale of family, love, faith in God, courage, and strength with a healthy dose of science fiction and fantasy. I really enjoyed reading this and was most happy that it ended with a peek into the next story. I look forward to reading that one, too. I love when a book engages me at first glance. It draws with inner appeal before it even addresses the conscious mind. Color, layout, and font, all hit us before we agree to follow through and pick it up. The feel, the size, the illustrations, all capture before the first word is read. That’s when the book becomes an experience. This book has it all. Once I was inside, the story proved itself with chuckles and anticipation, ending with an out loud laugh. Cute from start to finish, this is an enjoyable read. Everyone gets a little nervous about the first day of school. Even mommies and daddies get a tiny tumble in their tummies. It’s the start of new things, new directions, and new interests. It can all be a bit scary. Big sisters and brothers who have already mastered the event can be such a big help in getting little ones ready. Roar finds a whole new appreciation for his sister, and is sure happy to have her hand to hold. Have you ever felt the warmth rise in your cheeks when you mistakenly misinterpreted a situation? Princess Kitty thinks life is grand in her palace with her faithful human attendants. She is particularly excited because the palace is bustling about with the buzz of surprise, and Princess Kitty is sure it is centered around her! How will she handle the situation, if she is mistaken? What’s a princess to do? You’ll have to read it to find out! Waiting is a hard task. Waiting, when no one else can imagine what you’re waiting for, can even be harder. It looks as if Mr. Oyster is missing out! He can’t do any of the wonderful things those around him can do. But, he is secretly content, because he knows something beautiful is growing inside of him. Something only time and patience can bring forth. Value and sacrifice are often productive companions. The illustrations by Hannah Tuohy are warm and inviting, lending a sweetness to the tale. The power of suggestion, it can make us do crazy things! 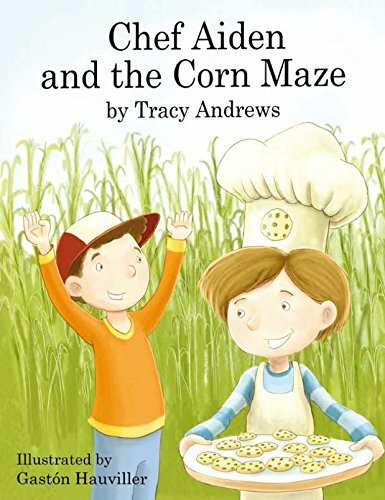 When Aiden’s brother Traven suggests the corn field is haunted, fear pops in to meddle with common circumstances, until the boys are running for their life. Like a shadow on the wall looms larger than its object and a bump in the night seems to echo louder than in the day, imagination can dance with suggestion until reality flees away. Thanks to the farmer, the boys come to their senses and all have a great time. And, once again Chef Aiden shares his special recipe with us. Illustrations by Gaston Hauviller are bright and colorful, bringing fullness to the overall experience. I find this story refreshing. It left me singing an old Beatles tune. I get by with a little help from my friends. A casual visit to the zoo soon becomes quite an adventure, as circumstances take an unexpected turn. I’m always amazed at the sense of community that binds the animal world. Aiden and Traven find remedy to their dilemma with the clever help of the animal kingdom. A cute story to build up in a time when unity and helpfulness are crumbling. And, Chef Aiden shares his special gluten free banana bread recipe with us as a bonus. The story offers friendship, adventure, helping hands, and yummy treats, filling all the warm spots of life. Join the grumpily adorable Bat as he searches for his missing cherries in this vibrant and hilarious picture book. This short, easy to read book captured my heart. Bat is simply delightful, and reminiscent of youth. Strong desire, do or die stands, that quickly melt into new desires and different directions. This is an adorable storyline to introduce adjustments and flexibility. Bat’s winning personality makes this a fun storytime for all. This easy reader encourages literary growth by following a young boy in fun and relatable activities. 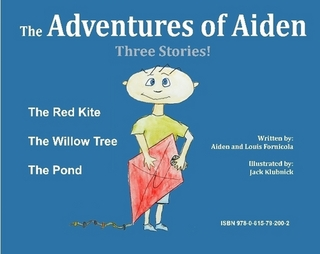 The book contains three stories about children who are able to accomplish great things by working together, such as flying a kite, climbing a tree, or helping small creatures in a pond. Aiden and his helpful friends find wonderful adventures in the everyday joys of their lives. Conflict is inevitable. Even the kindest person comes face to face with it. We can’t protect our children from it, but we can prepare them for it. Growing up, we often learn the hard way, that the people or events that hurt us are only a small portion of the damage we incur. Most of the trouble comes with our response. How we handle the situations far outweighs the issues themselves. Growing Friendships is a social etiquette manual for kids. It’s clever pictorial approach makes understanding easy, and the more we understand, the more empowered we become. Start your children early, prepare them before they encounter that bully on the playground or become one. Often, as parents we feel at a loss to advise when approached with delicate issues of response. Take advantage of the opportunity to encourage your children with the wisdom of professionals, as presented in this book. 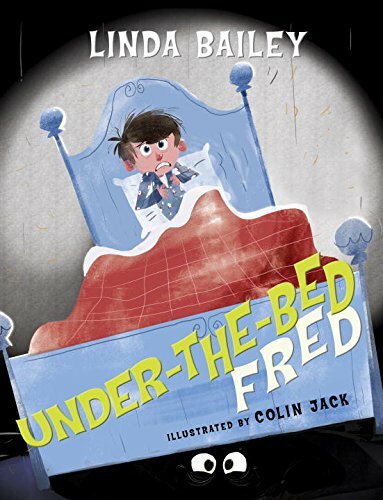 This fun story is the first in an early chapter book series by award-winning duo, Linda Bailey and Colin Jack. It’s a lighthearted face-your-fears tale that proves dreaded things may not be as bad as we think. In fact, it just might be the most interesting thing that’s happened to us yet. There are smiles and chuckles as fear fades, and friendship takes its place. Perception! A single act or application, and yet it can produce multiple interpretations. Little Mouse is hungry for a sweet treat and sets out to find one among his friends. Each quickly responds to Mouse’s query with a definite yes, but Mouse also quickly learns everyone has their own interpretation of sweet. His fun adventure, like most, leads him right back where he started: home. Where life is truly sweet. What would happen if there were two of you? I myself have taken this flight of fancy a time or two, when the busyness of motherhood seemed to swallow up not only time, but the imagination needed to make it through. This is a great opportunity to stir young minds beyond the daily tasks at hand. To imagine and dream, taking flight from the common, and finding what could be. Illustrations by Putut Putri are warm and nostalgic. Mr. Waldorf has a hard time hanging on to his spectacles in this fun and educational series, The Spectacular World of Waldorf. However, his search for them leads us all on a grand adventure through some amazing places! On this adventure, he tours the famous Statue of Liberty, explores Niagara Falls, tries ice skating at Rockefeller Center, hikes the Adirondacks, and climbs the Empire State Building. The illustrations are big and bright, and lend a great visual to the learning experience of our travels with the fun-loving Labrador, Mr. Waldorf. Many children wonder what happens at the zoo when the visitors go home, the lights dim, the sun sets, and the moon rises. Do the animals sleep? Eat? Play? In this delightful rhyming and beautifully illustrated story, readers discover the zoo’s secret: DANCING! Animals shimmy and shake, twist and turn, and sing and dance all in the wee hours of the night. Porpcupines doing the hokey-pokey? You betcha! African animals beating on their drums? Yes! Owls in a masquerade, foxes doing the foxtrot (of course), and flamingos performing flamenco are just a handful of hilarious animal antics that readers will relish in. Such creative and rhythmic prose to cleverly describe the animals dancing hobbies. I can only hope the toucans will do the can-can for me next time I make a trip to the zoo! It’s not often we read many books about bison in the prairie. That is what makes this sweet story about friendship, teamwork, and loyalty that much more fun and unique! Boomer is a tenderhearted bison that creates quite a BOOMING sound when he stomps, along with many other animals whose names correspond with their sounds. Author Joshua Viola explores the idea of friends becoming family and the companionship and security that provides … especially when Roarer the mountain lion is up to no good. What makes us stand apart can also be our best asset and Boomer is determined to save his friends from this sneaky feline. Colorful illustrations from corner to corner will captivate readers, and the expressions on the animals’ faces are exquisitely captured. Writers will definitely be inspired to come up with their own animal stories after reading about these loyal and brave friends. A beautifully illustrated story about a witch’s desire to help others using gifts from nature, her simmering pot, and a big heart. Learn how she lives hand-in-hand with all of nature and how she creates sacred space to honor those she loves and cares for. 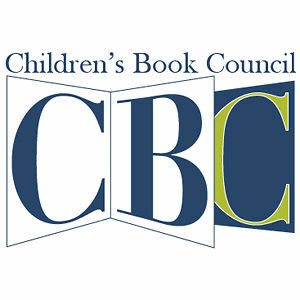 The book, which is part of the Conscious Bedtime Story Club collection, is a sure-fire winner for parents seeking conscious parenting tools. The book also includes simple steps for children and parents to practice in order to feel gratitude for nature’s gifts and a “Bedtime Bubble Spell” with calming techniques to feel relaxed before bed. The Boy Who Searched for Silence addresses themes like overcoming obstacles and searching for inner peace. The boy is meant to represent how many of us feel when anxiety and fear overtake our emotions, and how deep breathing along with meditation techniques can allow us to feel enlightment. As a result, the boy literally feels lighter inside. A meditation practice called “The Gratitude Spiral” is very simply described and will allow children to open up their hearts and voices to their parents at bedtime. I always have a soft spot for books with whimsical lands and heroines, but to add in a true life story about a brave and precious girl fighting for her life? My heart is full. This lovely story shares the journey of a little girl’s short but precious life battling a medical condition that affected different parts of her body. Written in rhyming, lyrical prose, readers will learn about Amber’s interests, her family and friends, but most of all, her sweet spirit and big heart. The story also mentions a playground built specifically for children with special needs. The author’s note gives great insight into this special class and Amber’s international following. What a wonderful literary opportunity to discuss what compassion, empathy, and philanthropy really mean. Board books? Yes, please! Books that elicit giggles and interest for my 5, 3, and 1-year-old are a favorite in our house and Halloween ABC definitely delivers. The pictures are bold and bright, funny and unique. 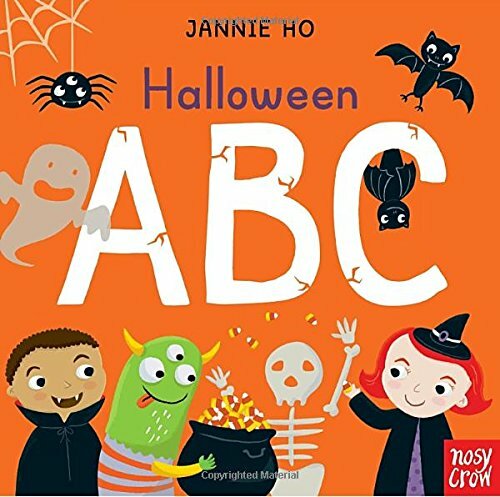 Each alphabetical page represents a different Halloween object or idea. What makes this book especially stand out (aside from the awesome illustrations) is the creativity behind the ideas. Cute pictures of candy corns are sprinkled throughout and the more my little story monsters read the book, the more extra details they notice on the colorful, hard pages. I’m not quite ready for the plethora of candy and costumes coming this fall, but after reading this delightful story, my kiddos sure are! Boo Who? reminds us that everyone has something special and unique to offer in our relationships, no matter how different we may appear or experience life. Upon reading this book, I immediately thought of how impactful this story would be to share with my students before recess or P.E. Boo is a ghost who can’t touch, feel, or participate in typical childhood activities. Feeling defeated and left out, Boo wonders where and how he fits in until a game of hide and seek turns into the perfect chance for his invisibility to ironically make him feel noticed. Nothing spooky about this sweet little ghost! It’s an adorable, clever, and thoughtful read for all ages. I love stories that use unique fonts to differentiate between each character’s dialogue. So fun to read aloud! 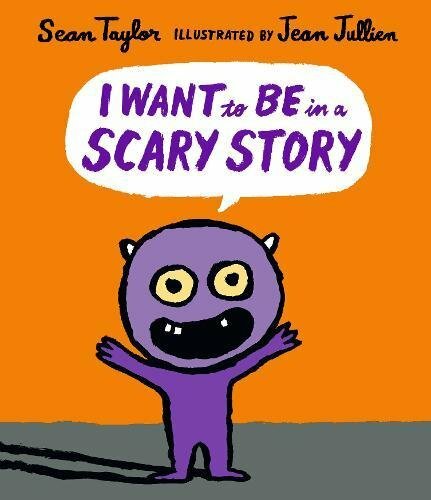 This adorable story shares Little Monsters’ dilemma of wanting to be in a scary story … but not TOO scary! What ensues is a cute and surprise ending that will delight readers and hopefully inspire some of their own spooky/funny stories. This unique story will surely be a hit during Halloween time but also to any book lover who enjoys tenderhearted monsters and interactive read-alouds! The Chalk Rainbow is a pure celebration of co-creation, love, acceptance, and triumph through dedication and appreciation. The story centers around a family experiencing some of the totally naturally occurring challenges of Autism Spectrum Disorder (ASD) and the ripples it creates in daily routines. ASD is so different from family to family, but The Chalk Rainbow does a great job of expressing common situations without drawing any specific conclusion. Told by the sister in the family, her challenge to engage and comfort her brother becomes a game that transforms into an adventure, eventually becoming a situationally-unique and brilliant solution. A staple for families, friends, and schools to teach insight, understanding, and creative problem solving, The Chalk Rainbow is both an important communication tool and storytime treasure. A delicious Halloween treat, Zip! Zoom! On a Broom counts up to 10 and back while racing through a night’s adventure for ten crazy witches. One goes zip, two go zoom. Three witches glide from room to room. 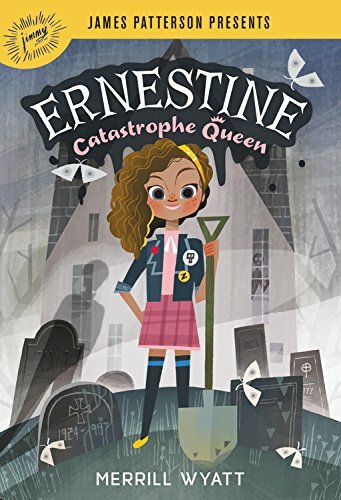 Just try to keep up with these gory gals, as they go on an adventure with skeletons, monsters, bats, haunted castles, lightening, dragons, and more. While the story and illustration are amazing, I think what sets this one apart is that it counts both up to and back from the number 10, and with all the witches trying to stay on the same broom, the visual component of addition as well as subtraction is present. Fast paced and fun enough to hold an audience but consistent enough to get the fundamentals across, Zip! Zoom! On a Broom is a wonderful addition to your October bedtimes or school’s seasonal reading routine. Waldo “W.B.” Baron always speaks the truth. His teacher and fellow students would definitely disagree. They don’t know that his parents are secret inventors of unbelievable gadgets and machines. When Waldo explains what he did over summer vacation, he is punished for lying. 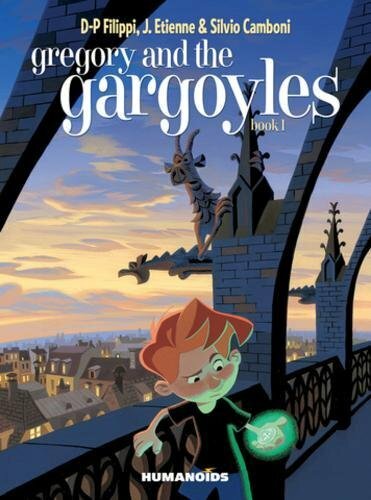 One day, his parents are hired to go on a secret treasure hunt and thus begins a tale of adventure, danger, mystery, and all kinds of inventions. Kids will thrill over reading this book. I know I did, and I’m a big kid at heart. I found this book most creative and see it as stirring all kids of visuals in the reader’s imagination. They will feel like they’re along for the wild ride with each page. Morrigan Crow is cursed. Having been born on Eventide, the unluckiest day for any child to be born, she’s blamed for all local misfortunes, from hailstorms to heart attacks—and, worst of all, the curse means that Morrigan is doomed to die at midnight on her eleventh birthday. But as Morrigan awaits her fate, a strange and remarkable man appears. Chased by black-smoke hounds and shadowy hunters on horseback, he whisks her away into the safety of a secret, magical city called Nevermoor. This is the ultimate book for any child to read, especially those who feel inferior and untalented. Morrigan’s life changes dramatically in this story that rivals classics such as Harry Potter, Mary Poppins and Alice in Wonderland. The ultimate fairy tale—I loved reading every page! Twelve-year-old Stanly finds a bone growing in his yard and knows he’ll have the perfect photo to submit to the Young Discoverer’s Competition. With such a unique find, he’s sure to win the grand prize. But, oddly, the bone doesn’t appear in any photos. Even stranger, it seems to be growing into a full skeleton . . . one that only children can see. Stanly’s little sister Miren adopts the skeleton as a friend, but when she starts to grow sick, Stanly suspects that the skeleton is responsible and does everything in his power to drive the creature away. This story unravels like a flower in the morning sun and is the kindest way to help any child, whether current or in the future, to deal with losing a loved one. 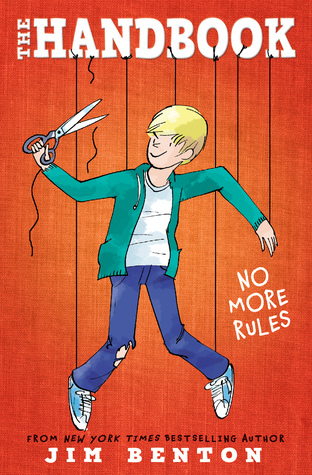 This is the perfect, fun to read book about a not-so-typical 8-year-old boy named Horace. Why is he different? Because he seems to have the capabilities of most chameleons and the older he gets, the more traits he acquires. This is the beginning of Horace’s adventures as he overcomes the hardships of being unpopular, fighting off bullies, and trying not to let his chameleon-like talents show. I get the impression that Horace wouldn’t trade his special talents to be the most popular boy in the entire school. Hubble Bubble The Great Granny Cake Contest, is a humorous, fun read. Everyone should have a grandma like Pandora’s grandma! Wherever Pandora’s granny goes, she uses her magic. Yes, Granny is a witch! She causes chaos and craziness wherever she goes, including the house museum, on a cooking show, and at the school garden fair. Will Pandora get everything back to normal before everyone finds out what Granny has done? Read the book to find out! This is simply adorable! I can’t wait to add it to my family bookshelf. Stella Isabella and her pup win your heart instantly! The rhythmic text and amazing illustrations fill not only the story, but the entire atmosphere with great joy, satisfaction, and triumph.Three cheers for Livingstone Crouse and Macky Pamintaun! It’s lively, endearing, and captures the very best of childhood. And, it even gives you a kindergarten checklist to help set the stage for your little one’s biggest day! Frilly & Trilly: Where does all the money go? This is an adorable way to teach children the reality that finances play in their daily lives. At times, while seeking heartfelt desires, children may find themselves up against opposition. Often, attributing it to the meanness of those who unfortunately have to say no. This thoughtful approach allows for understanding and appreciation in a hands-on visual way. A great experience that should be incorporated into every childhood. The wild horses of Assateague Island National Seashore are known by many. However, Herrick brings us in closer and provides a personal peek into this unique wild horse society, from the perspective of one particular pony. The horses, strong enough to survive the hardships of the island’s scorching heat, many mosquitoes, stormy weather, and poor food quality, have formed a distinct horse society. There is much to learn of these true magnificent creatures, and the amazing island on which they live. Family is the balance and strength of home and life, and extended family is like the sprinkles and toppings we add to an already delicious treat. Grandparents can add such a special sparkle that rounds out a solid self-appreciation. Edison is becoming quite a little packer. Love, experience, and a subtle awareness of those he shares his time with help him prepare for the MOST of his experiences. Whether going fishing or to a sleepover, he knows just what he needs. And, as a grandma, I can tell you he knows well the answer to his mom’s parting question. Giving a pet its forever home gives us serious thought and consideration. We realize it is an adjustment for all involved, and enter into it with determination. In this story, the light is cast on a new perspective, finding the same determination on the side of the pets we choose. Little Pug is moved about, and finds many new places and people in her life. She discovers not all is as she hoped, and though she may long for better things, she is determined to make the best of her situation. Even if it means dealing with difficult adjustments. We look on as this loving little pug navigates her way through disappointment and hardship. In these relative issues, we observe it is possible to find a lasting balance. The students in Emma’s kindergarten class don’t understand how they can all look so different on the outside, but look very similar on the inside. So Dr. Shaw is coming to visit, and she’s bringing Mr. Bones, who is a real life-size skeleton. Mr. Bones is going to help Dr. Shaw teach her lesson about the human body. 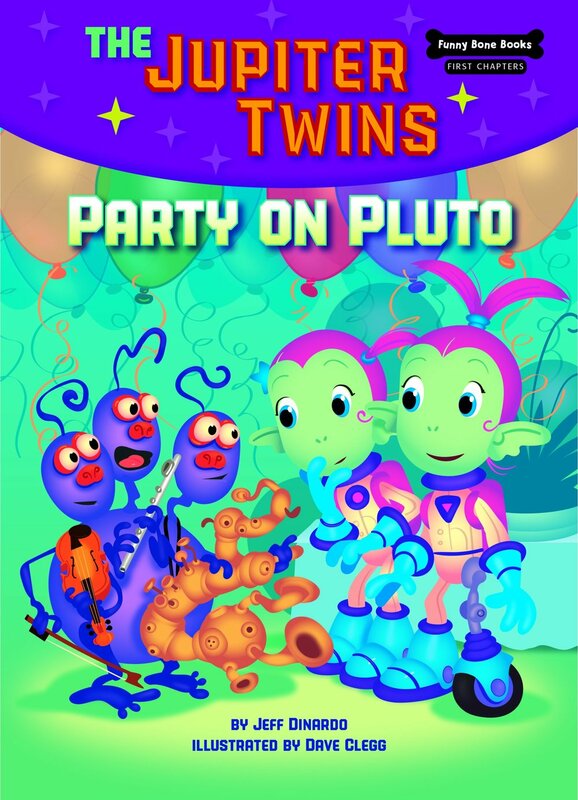 I enjoyed the educational approach of this story that also provided an early moral awareness of individual uniqueness, as well as the basic sameness that unites us altogether as one. In the fourth and final episode of this multi-awarded series of Sir Kaye, we find Kaye and his two best friends caught in a dangerous adventure to save his father. Father/son relationships can often be filled with misunderstandings and unnecessary striving. Sir Kaye is driven by his need to prove himself, a validation never truly needed in the eyes of his father. This is a great chapter book series, filled with adventure. Its content is inspiring and relatable. The chapters and book length are well paced and hold the attention to its finish. A great rite of passage experience for all awaking youth. A rat who is also a scientist? An avid reader? A workout enthusiast? Jim Rat has a rather enlightened view of himself. Void of stereotypes or bullied impressions of others, he has quite a healthy awareness of who he is. He is a very different kind of rat. This enjoyable introduction to Jim will encourage children to look beyond definitions and mindsets, to uniqueness in self-discovery. Lighthearted with a weighted message. Moon Princess is a heartfelt, adventurous, imaginative story. Sienna and her invisible dog, Rufus have moved from London to Shanghai with her dad. Her dad said they moved to China for work, but it was China where her mom has disappeared. Now Sienna is stuck with a mean housekeeper who starts acting suspiciously. Along Sienna’s adventure to find her mom, she makes friends, meets dragons, visits temples, travels on buses and trains, and meets other invisible animals. But will she find her mom? DK Publishing brings us another fascinating book on coding. In this technology-based society, our children are incorporating its devices at astounding rates. Though there are debates regarding the impact of this technological takeover, it is a reality of our time. Kelly’s book takes us through a history of programming, bringing to light amazing techniques that only few were aware of at the time. This light has broadened our intellects and stimulated our creativity. Books like The Story of Coding break down complex theories into understandable and achievable possibilities, even for the young. I find them fun, challenging, and empowering. Tripi Takes Flight is a wonderful story. Faced with a major challenge, Tripi is able to draw upon his many other great skills and abilities and overcome his one lack that threatens to hold him back. Tripi learns there are many ways to do things, and if the obvious way is hindered, we can always find another. The challenges of life are only limited by the inability to see beyond them. Necessity, they say, is the true mother of invention. This story also provides an audio version. This YA novel takes us on the long and winding path of forgiveness and healing. Never an easy journey, yet one filled with hope and possibility. Narrated by 16-year-old Krista, we follow her through the pain, confusion, and dreadful sense of loss as she faces the effects of a fatal accident of close loved ones. Recovery is a desperate road, and the wisdom and kindness of those who accompany us can often lead to safe passage. This adorable book grabbed me right at the cover. Illustrator Guy Wolek captures the warmth, patience, and overall heart-winning personality of Jackson the mole with perfection. We can all learn a thing or two as we watch Jackson cope with his new noisy neighbors. Its so much easier with kindness. The Elephant Who Tried To Tiptoe is an adorable story about a sweet and curious elephant that worries that she isn’t enough because she can’t do some of the things other animals can. It is only after recounting her many positive attributes and blessings that she finds peace and happiness with being who she is. 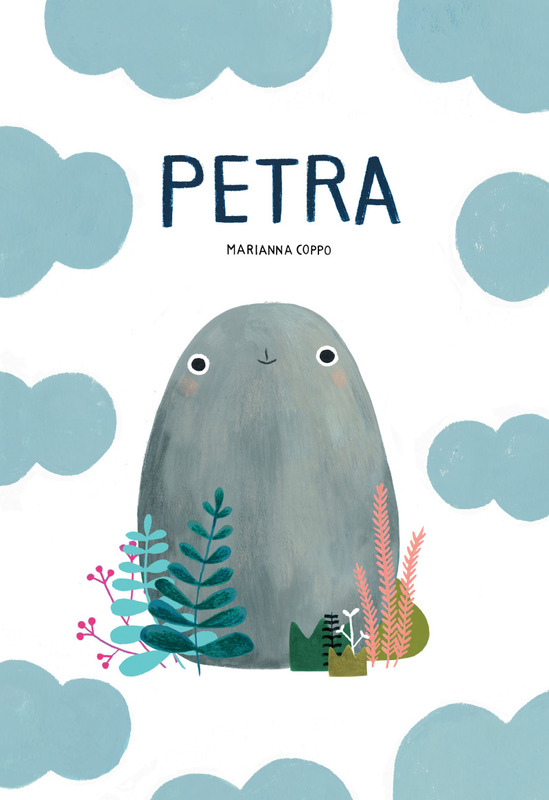 Calming yet fun illustrations and rolling rhythm seem to float the reader through this one and it makes a great pick-me-up bedtime story after a rough day or a reminder to love ourselves and appreciate our own unique abilities at school story hour. A meaningful and inspirational story. This book is an uplifting and inspiring story and a tool of encouragement and peek into history. It takes place in Kuantan, Malaysia, where 11-year-old Maya dreams of being a soccer star. Unfortunately during this time, only boys are budgeted for soccer equipment. Maya has too many stresses to deal with—her parents fight, she feels like an outcast being the only Muslim in her new school, and she has no idea how to convince the school to find a way to provide equipment to start up a girls’ soccer team—that is, until she convinces enough girls in school to sign up for it. This book inspires young readers to overcome events in which they are helpless to overturn and empower themselves to prevail. Benji is a very lovable dog but his young owner doesn’t like everything that Benji chooses to eat. This is the tale of a typical day in the life of Benji—where he goes, who he meets, and especially what he eats. 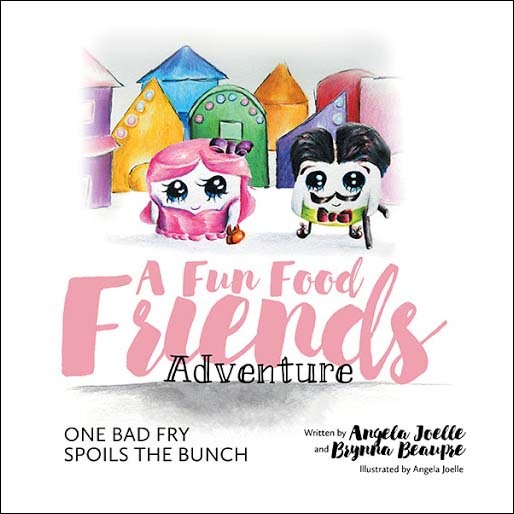 Early readers will find this story funny as they bond with the lovable Benji and will be surprised to learn that there is one human food that Benji won’t eat, which is the same one his owner refuses, too. Kids will wish they had a dog just like Benji. What kid can’t relate to having parent problems? Middle-schooler Dewey Fairchild hates that his mom makes him take a bath every day. When he confides in his friends, each of them has a complaint about their parents, too. Dewey realizes that he has a knack for solving problems anyway, so he sets up his “business” and solves parental problems for all his client friends. Dewey can solve any problem parents may cause, but what will he do when the parents who are causing problems are his own? I thought this was a beautifully spun tale. Parents, I advise you to read this book. It makes you wonder just who is training who in the parent-child relationship. Such a fun read! Spirit Riding Free: The Adventure Begins is an entertaining story about family and friendship. What I liked about the story most is that it shows with courage and integrity we can face challenges in life and move forward. A sheltered girl, Lucy moves with her father to the Wild West and finally gets to experience the adventures that she had only read about in books. Lucy meets Spirit, a young wild horse. Both spirited, together they face challenges with courage and honesty. Goldie Blox and the Three Dares proves with determination and focus you can successfully complete almost any task. This book is encouraging to girls to look at engineering as not just a “guy’s job.” Goldie’s favorite place on the earth is the BloxShop. The BloxShop is an engineering workshop filled with tools and recycled materials. Goldie always loves a challenge, but doesn’t realize what she is getting into when she finds her grandma’s book of dares. Goldie’s determined, along with her friends, to complete the last three dares in the book before her Gran’s 77th birthday, but can they do it? The Hug Who Got Stuck is an amazing visual telling of what happens in our hearts when we withhold love. In a totally fresh allegory, the book creates a visual narrative for our emotional reactions to that moment we are too upset to apologize, forgive, or just love who we want to love. When the hug gets stuck in the icky web of negative feelings, the whole hug factory shuts down, and the heart grows dark. But when the hug lets go and releases itself from the negativity, it can fly out to love its intended recipient and the hug factory starts to whir back into business. The illustrations are as unusual as the story itself, full of detail and meaning wrapped up in a gorgeous layered and multimedia collage. Complete with a hug meter tucked thoughtfully at the end, The Hug Who Got Stuck is another big winner! An outdoor family’s must have! Written in conjunction with the American Hiking Society, Families On Foot covers a lot of ground—from trail mix recipes to first aid what-ifs, this book is a true companion. Compact enough to toss in a backpack but straightforward enough to read in a sitting or two, authors Jennifer Pharr Davis and Brew Davis take you on their own adventures with breakouts from other families on the tips and tricks that make their adventures the most memorable. Cranky teen? Family member with disabilities? Backpacking your baby? It’s all here. No matter what your background is in hiking, there is something for everyone. Now get outside already! The heartfelt message of Rainbow of Friendship is of upmost importance as readers are transported on an emotional journey with ‘Red’ and her apprehension of going to different places with different looking people in Rainbow Row City. Her sweet friends come in the form of colors. What an engaging and inspirational read to reinforce kindness and acceptance of others—especially in today’s world. Rhyming and poetic text flows and includes fun and eccentric names of Red’s new acquaintances (Blue Betty, Pink Patty Puff, Orange O’Shea, and Yellow Yasmina). The colorful ending leaves the reader with a lovely message. One of my favorite parts of reading is relating to the character in some kind of way, having my feelings validated and not feeling alone in whatever struggle I might be experiencing. I Have a Voice encompasses all those qualities and more. The colorful story begins with sweet Jamie, who wants to talk, wants to share, and wants to connect verbally with her friends, but can’t. Her loving and supportive mom takes her to Dr. Faye, who is wonderful at validating Jamie’s feelings and offering her strategies to cope with her anxiety. The last few pages of the book even provide parents and teachers questions and answers about selective mutism. An inspirational, educational, and uplifting book for many children in our communities. An absolute must-have for every foodie, craftie, and aspiring young entrepreneur. Kathy Strahs shares how to create yummy concoctions from lemon-orange limeade to cold brew iced tea. Not your typical recipe book though! The whole premise is to spark assertiveness in children to set up and sell these yummy treats. 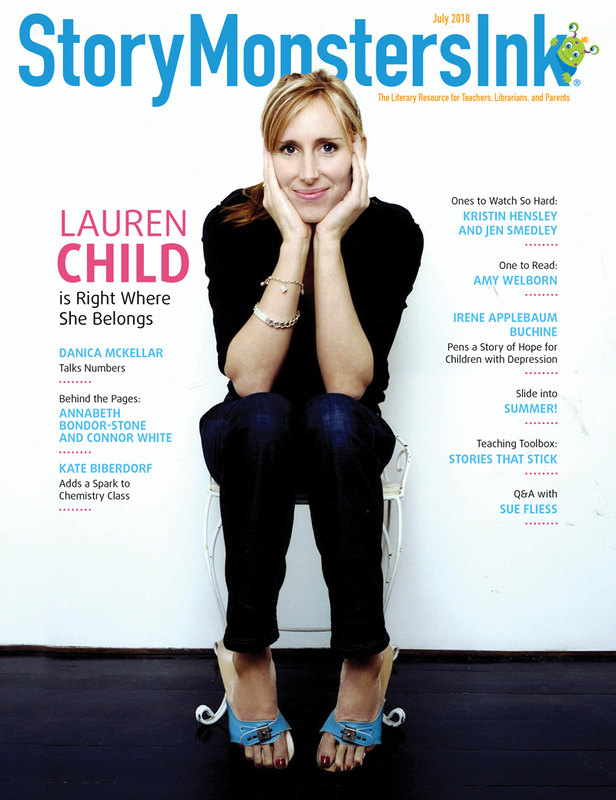 The table of contents is easy to read with recipes in one section, and crafts in the next. Love the encouragement, strategies, and testimonials from other young chefs and artists! The crafts are cute, creative, and use many materials easy to find at home or the dollar store. Gorgeous graphics accompany each double-page spread and steps are easy to follow. Bonus facts are included on cute lemon wedge pictures. Fourteen-year-old Edgar DeWitt is distressed when his parents move from Alabama to Mount Lanier, Washington. Right off the bat, his Southern accent attracts bullies who relentlessly mock and attack him. During one of these chases, Edgar escapes by running off in the forest where he discovers a longforgotten old cabin with a hole in the floor. There is something magical about this hole and Edgar’s curiosity overcomes common sense and fear as he jumps in. 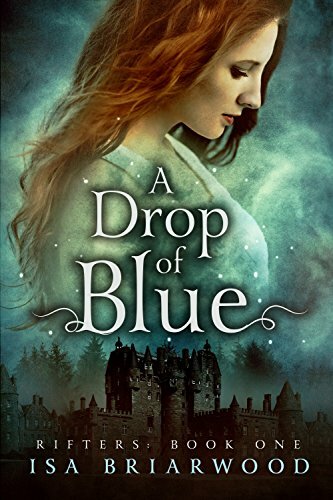 Readers will find themselves lost in the magical world along with Edgar, who must make the most serious decision of his life when a wildfire breaks out and his father’s life is in grave danger. Edgar is endearing and the other characters he encounters are perfect for the adventure. A terrific book for any young reader who feels they don’t fit in. Seventh-grader Mango Delight Fuller, normally shy and withdrawn, had no idea that she had a talent for running until she beat out Brook in the school race. Brook changed instantly from being Mango’s BFF to her actual enemy. To make matters worse, Brook decides to get even by forging Mango’s name on the sign-up sheet for the school play. Mango, realizing that this may be the excuse she needs to come out of her shell, shows up for the tryouts and to her surprise, gets the lead. Shy kids can use this book as encouragement to try new things and discover their hidden talents. This is the perfect book for all kids to read—kids who bully others, kids who get bullied, and those who witness it all. Not just an entertaining story, this is an educational book parents will want to buy. Eleven-year-old Howard Wallace and his friend, Ivy Mason, are private investigators. Their principal, however, has forbidden their detective escapades on school grounds. That is, until the school mascot disappears and Coach Williams gets the principal to allow it just this once, provided no one else finds out. Howard and Ivy are thrilled to take on the case until they learn that Carl, the school bully, is not only Coach Williams’ own nephew but is also the one accused of the theft … and they’re the ones who have to prove it’s not him. There are many twists and turns and surprises as this plot unravels as Howard and Ivy put aside their hatred for Carl and find a way to prove his innocence. This story will have readers cheering Howard and Ivy as they follow the clues, including the false leads, to prevail in the end. What a delightful tale! Benjamin and all his helpful friends are so marvelously illustrated, they win your affections with every page. I love the educational impact that so fully embraces the delight of the overall story. And, I treasure even more when a story holds a wide range of application. It keeps a book alive in many readings, never tiring the text. The loving wisdom of mother, the importance of compliance and obedience, and the importance of friends along our journey are all great realities tucked into Benjamin Birdie’s First Flight. This is a great early reading experience. The gentle rhyme carries a pleasant feel throughout. This book delights with every page! I tried to pick a thought, settle on one to share, but it was impossible. Having grown up in a house filled with poetry and song, Howell has managed to capture the essence of life and sprinkle it on every page. Imagination awakens as the day’s eyes grow heavy and night springs to life. There is not enough space allotted to tell you of all the treasured thoughts tucked so brightly illustrated into this book. So I encourage you to find a copy and share the giggles and joys with your children. Let their minds wander and explore all the fancies and wonders of a simple world. They will never outgrow this book, or the creativity it can bring. Grateful for You, Good Night! My most favorite time with children has always been those twilight moments where the wiggles and giggles give way to their softer, more contemplative side. Winding down for bedtime always gave me a peek into their day, and the ever-increasing growth of their heart and imagination. Warm cuddle time fosters their appreciation, and provides a wonderful opportunity to learn and express gratitude. Not only does Grateful for You, Good Night! help you to do just that, it also opens the joys of the sweeter side of parenting. Illustrations by Jacqueline L. Challiss Hill provide a loving visual stage for the text to dance upon, and together make a great nighttime routine. We have all read and experienced the notions of a dog’s unconditional love. They wait so faithfully for those special moments we share. We Love You, Rosie! shows the turn of the coin as we see the unconditional love of a pet’s forever family. When she’s good and when she’s naughty, Rosie is loved. When she’s up or when she’s down, Rosie is loved. There’s a warm confidence in knowing we are loved for who we are, not just for the actions of a moment, but every day, in every way. The sequel to Give It a Go, Eat a Rainbow introduces a new character in the series: Sammy the Bunny, who takes Blake on a journey to discover where healthy rainbow foods come from. This simple, easy-to-follow book makes healthy eating a cinch. Teaching children the benefits of fruits and vegetables by color will carry a long-term effect, and it was interesting to see the areas of our body and the ways that they are affected by each color-coded food. The book addresses healthy eating, farm-to-table concepts, and plant identification in an engaging and positive way. When I think of awkward adjustments, my mind always regresses back to school days. Those days when life broadened and new members entered the scene. Those awkward times where threesomes replace our treasured one-on-one’s. It seemed harder for girls to adjust than it did for the boys. Or, they were better at hiding it. Oh, all the jealous emotions and mood swings that came with the sudden insecurities of group friendships and interactions. Scheffler eases the understanding into simple awareness, before hormones and emotions fight for control, leading to a smoother introduction. I do believe the better informed we are, the better we advance. Emotional health is as important as physical health, and early childhood development in both is an added plus! Oh, the amazing power of the imagination. Words form with gentle churning, rising, and falling like the hand of a painter on canvas. A small boy’s inquisitive mind wonders about the world that lays beyond what he can see. Living in the mountains, he has never seen the sea. He’s never felt the cool breezes that float through the air, collecting the salty sprays of a playful ocean. Have you ever listened to someone tell a story and you captured every word as it played across your mind like old movie reels? Charlotte Zolotow chooses her words artfully in this delightful depiction of a day at the beach, bringing it to life with sheer imagination. Redesigned for its 25th anniversary, The Seashore Book beckons yet another generation. There’s nothing like a broken-in pair of shoes to cushion each step with comfort. This cute story expresses the cycle of denial to acceptance when that sad moment comes and reality says a new pair is necessary. Like parting with old friends, memories flow. Nothing can replace these old kicks. And then, like meeting new friends, you find that special pair that holds promise of great things ahead. Hidden under the cover’s flap is a special surprise to help your little ones learn to tie their shoes. This fascinating true story of Eugenie Clark is inspirational on many levels. The heart of a child that catches the magic of a dream and lets it carry her for a lifetime. In her 92 years of life, she never let anyone tell her she can’t, or that her goal was unattainable. Seeing beauty where others saw ugliness and fear, she was able to accomplish many amazing feats, personal and world acclaimed. This is truly a valuable read, and will gratify the grit in every true heart. This is truly a delightful story. The illustrations endear us not only to Shao Ming and her dilemma, but to the wonderful foods of China. The story carries the tender emotions that accompany carelessness, and the diligence of responsibility. I personally appreciated the footnotes tucked among the pages that helped with pronunciation, and details that heightened the enjoyment of the story. Not leaving it to my foreign mind to hack at the beauty of their culture and language. The point of the story, its colorful setting, and its culture all made this a fun reading experience. Growing up can seem ever so slow to the anxious little one perceived to be caught in a snail’s pace. Eagerness and longing can be miserable companions. Luckily for little hippo, he learns being big can mean many things, and sometimes you can help others just the way you are. It’s easy for children to feel lost in the large world around them and lose heart, and sometimes it’s the smallest things that can set it right. The path to adulthood is rocky at best. The very word itself insinuates we have arrived intact, in some sort of fullness or maturity. But emotions? Who really understands them, much less makes noble or productive alliances with them? Greg McGoon has been given an acute ability to see these underlining Tramples and Trembles as they work their dastardly deeds upon us unsuspecting surface-dwellers. He shines a light upon what otherwise appears shady ground and strengthens our steps as we pass through. Whether adult or child, this poetic and lighthearted approach to those very real experiences of emotion offers us a healthy and fun understanding that is sure to make the journey a success. McGoon’s text and the illustrations by Jessa Orr bring such life and reality to what youth has been battling in the dark so long. They present a face we can understand … and overcome. Summer is such a magical time for kids and adults. Warm days of playing, exploring, and adventuring are what childhood memories are made of. And Then Comes Summer by Tom Brenner and illustrated by Jaime Kim is a stunning picture book about these endless summers days. Brenner poetically starts each page with cause-and-effect language that will lend itself to delightful responses from young readers. The illustrations are just as rich as the language. Acrylic paint is vibrantly used to depict “colorful sprays” of fireworks in a steamy summer sky, hopscotch on the driveway, red, white, and blue streamers on bikes, and ear-to-ear grins. A must-read for children. 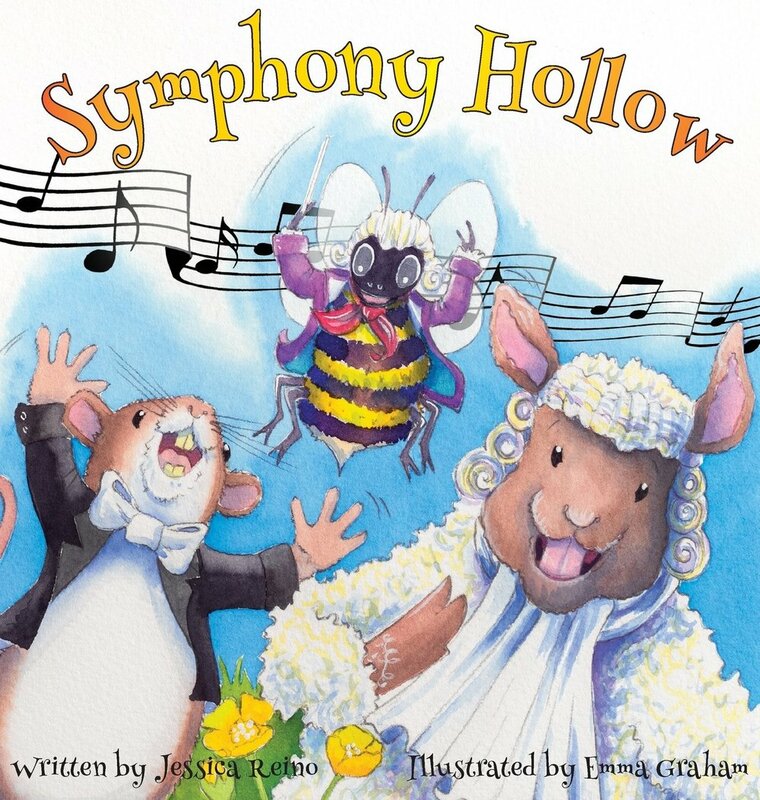 Author and illustrator Rebecca Ashdown shares a heartwarming and hilarious story about what happens when a little boy named Percy tells a lie that snowballs into some monstrous circumstances. The Whopper begins with sweet Grandma gifting her well-meaning, but not so well-liked, knitting concoctions to the family. Luckily for Percy, the latest sweater gift is for the family dog. Unfortunately, the dog gets into quite a mess (literally) and Percy has to throw the sweater away. Problem solved? Not even close. Percy lies about the sweater’s demise, only to result in a lot of guilt, and a big whopper of a lie monster that follows Percy’s every move. White space is beautifully used to showcase the vibrant and bold illustrations. Readers will connect with Percy’s predicament and hopefully realize that as cute as a little whopper monster is, lying is definitely a whopper of a no-no. A sweet and surprising story about what friends will do to protect each other. Haddie is a young girl who loves nature and all the gifts it has to offer—especially the lake. Haddie is so happy on her water adventures that she sings a song that ignites a mysterious creature’s curiosity. Hudson is a kindhearted but startlingly enormous creature that emerges from the lake to befriend Haddie. She is not afraid of him, but others are. And the two begin a beautiful (but secret) friendship. What really stands out in Van Dusen’s story are the illustrations. His artistic and writing skills are sure to delight and surprise us in the best of ways, just like Hudson. Brothers Paddy and Flynn are … the Dragon Hunters! A fast-paced and engaging read-aloud about a journey to save the family dog from an evil (and exquisitely illustrated) dragon. Written in clever rhyme, this story is sure to delight dragon-loving and imagination-using readers who enjoy a great adventure story. The pictures by illustrator Link Choi are so unique, with sketches on white backdrop for some pages, and then corner-to-corner vibrant dragon details on the other pages. A few shivers and gasps will happen as readers notice the creepy dragon tails, claws, and teeth during Paddy and Flynn’s rescue mission. BONUS: The book is interactive! Readers can download a special app to bring the fearless brothers’ action into 3-D glory. So fun! With Paddy and Flynn around, we’ll be kept on our toes as we wonder what adventures (and dragons) lie ahead! Sukie and Chunky Monkey just weren’t sure about the beach. After all, there was a lot to be afraid of! Stairs! Beach balls! Waves! And … lobsters! An adorable day at the shore becomes a wonderful story about getting over fears as a dog, the dog’s stuffed monkey, and their fearless leader Eleanor take to the sea for a side-step outside Sukie’s comfort zone. The time explaining the thought behind Sukie’s fears is exceptional. Perfectly relatable for kids to absorb but not so long and drawn out to lose their attention. The illustrations are wonderfully paired to the story–the sunny and carefree whimsy of the art confirms the storyline without making Sukie’s apprehension seem unjustified. This is a great book for the over-cautious kid in all of us. When two aquatic friends—a sea monkey and a puffer fish—suddenly become fearful that one might sink to the bottom and the other might float to the surface, a very (not so) serious drama unfolds among the creatures of the ocean. Reynolds nails the geeky neurosis of each friend through goofy dialog while Debbie Ridpath Ohi illustrates the drama the pair experiences keeping it together and joining forces to overcome their terrifying (unlikely) dilemma. When reading it as a bedtime book, my daughter’s favorite part was giving the peripheral fish their own voices based on the faces they were making. Having a reason to jump into an outside perspective on irrational fears will make a nice teaching tool for kids suffering from heightened levels of anxiety. Great read and fun to share, Sea Monkey & Bob makes for a giggletastic addition to any child’s library. Oh, Bartelby! What a mess you’ve made this time! This is a sweet tale of a kind and happy dog living in a bookstore and playing with his family, except that he is so long from head to tail, he has no idea the trouble his bottom is causing! We follow Bartelby on his daily walk and watch what kind of chaos is in store for a dog who is so long, he has no idea what his back half is up to! It’s up to his family to come up with a solution, and quick because Bartelby has vowed never to leave the bookstore again. Julia Patton does a wonderful job taking you on Bartelby’s walks, and the illustrations are a wonderful mix of minimalistic watercolor-sketch, yet so full of story. Each page’s illustrations take the story well beyond the narration, making it a joy to linger and absorb poor Bartelby’s surroundings and unfortunate predicaments. Designed for grades 3 and up, this book is a wealth of bite-sized information on a dizzying amount of weather topics. Why it rains, deserts and droughts, even global warming are broken down into bare bones, giving kids (and inquisitive parents) easy to discuss snapshots into weather phenomenon. The flexibound binding choice is perfect for this book—light enough to carry in a backpack, yet durable for constant reference. Well-written and illustrated, this is a great guide for science-minded kids at home or any science teacher to have on hand for a quick visual aid. 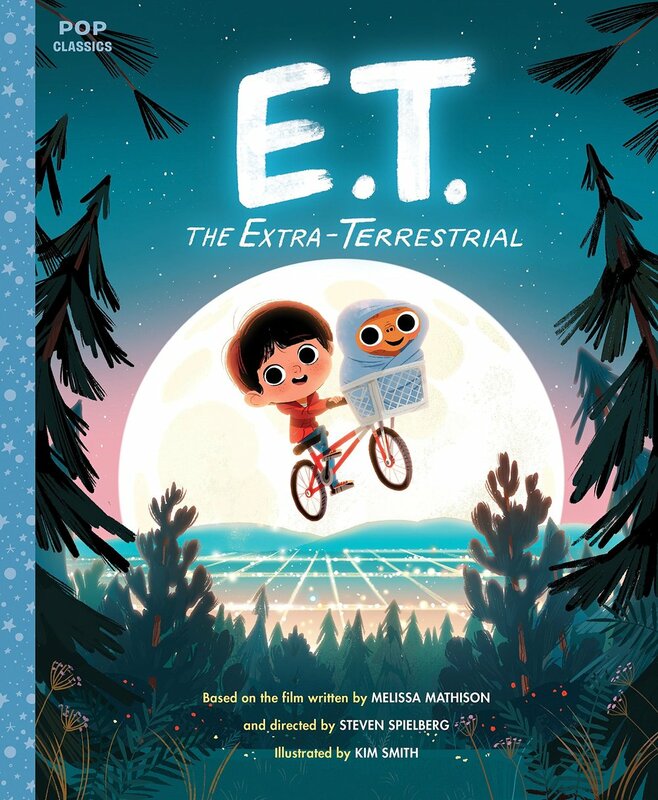 A super cute book for any robot fanatic, written and illustrated like a flip book or comic strip— meaning the characters don’t always say what they are doing, leaving some of the storyline to be told by the scene they are in. Why is this interesting? Many children’s books spell out in the narrative what is happening and use the pictures to support the text. In this book, the reader is looking to the whole picture for information. 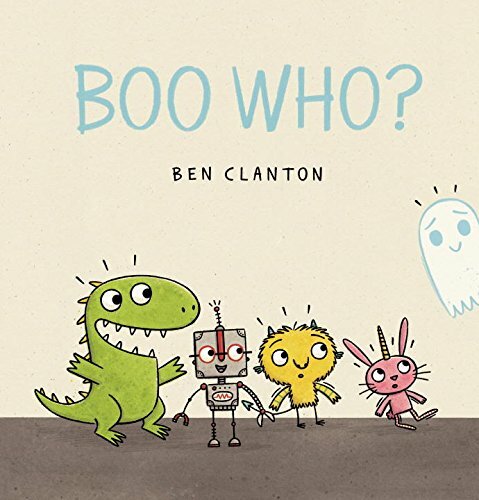 Adorable robot speech, interactions, and robot bedtime drama make this a fun story for kids, but also for the lucky person who gets to read it with them! This book has become an insta-fave at our house, and will I read it over and over? Affirmative! Fraternal twins, Sophie and Scarlet (Scottie) don’t look alike but are very much alike in their personalities and interests. They love growing up on their farm, Shear Haven Ranch, and think their lives are full of great adventures. Then one day their aunt sends them a strange-looking frame with an even more unusual picture. It seems like the worst present ever until they discover its magic. The photo is actually another world that they can enter right through the frame. The girls have one wild adventure after another and meet their Uncle Drake, who leads them to lands not seen before where many undiscovered creatures dwell. Readers will escape into this world along with Sophie and Scottie. This is a fun book and a great way to spend an afternoon. Cedar Lee and her brother Miles are surprised to learn that their mom buys a summer house in her hometown of Iron Creek. All three of them are struggling to heal after losing their dad and brother in a car accident. This story completely yet subtly describes in detail the acts, emotions, and pathway that the survivors experience. It is, however, an uplifting and fun-to-read story. Cedar makes friends with Leo, a young local who works at the Summerlost Festival and helps to get her a job there. Two mysteries drive this story. This masterfully told tale seems to pull the reader into it so that they feel more like they’re experiencing the story rather than just reading it. To elevate the theatrical mood, this book is divided into Acts 1 through 3, rather than chapters. I really couldn’t put this book down until I finished the last page. Just wonderful! Sam Lyttle in the The Pudding Problem is a complicated kid trying to figure stuff out, and hoping to be understood. He tends to stretch the truth or as some say, he constantly tells mostly “harmless” lies. Sam has a great imagination, and you like him even though he tends to do some unlikable things. In the end he decides to come clean, or could his final “truth” be another lie? In Laugh Out Loud, Jimmy, a middle school kid, loves reading so much that he’s inspired to start a book company for kids and run by kids. What I loved most about this book is that it really gives hope to dreams no matter what age you might be. And it doesn’t matter what anyone else thinks of your dreams as long as you believe in yourself and your dream, and of course, work towards it. Most people laugh and make fun of Jimmy, but that doesn’t stop him. Instead, Jimmy’s actions inspire his mom and dad. Will Jimmy get the funding for his book company? Read the book and find out.